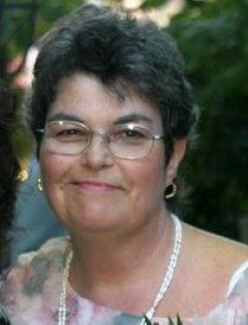 I'm Virginia Allain, a retired librarian. 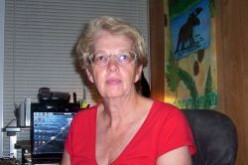 Now I devote myself to writing, genealogy, photography, and designing books to self-publish. Having fun! 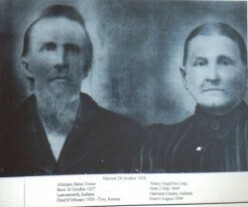 My current project is researching and putting together a book about my great-great grandfather and the Civil War. I've developed a passion for politics and created a number of pages in support of my favorite candidate, Bernie Sanders. 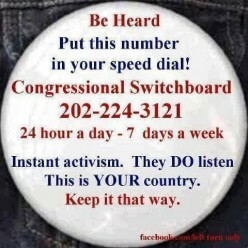 Now, I encourage people to be active in government (call your members of Congress, keep up on issues, and make your voice heard). 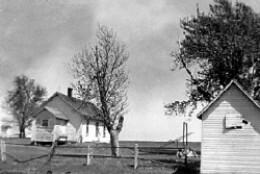 Travel back in time to the 1930s one-room school. Actually the Kansas school featured here dates back to 1886. My family history intertwines with this school so enjoy the memories here. There are a number of ways to preserve your family's precious WWII letters. 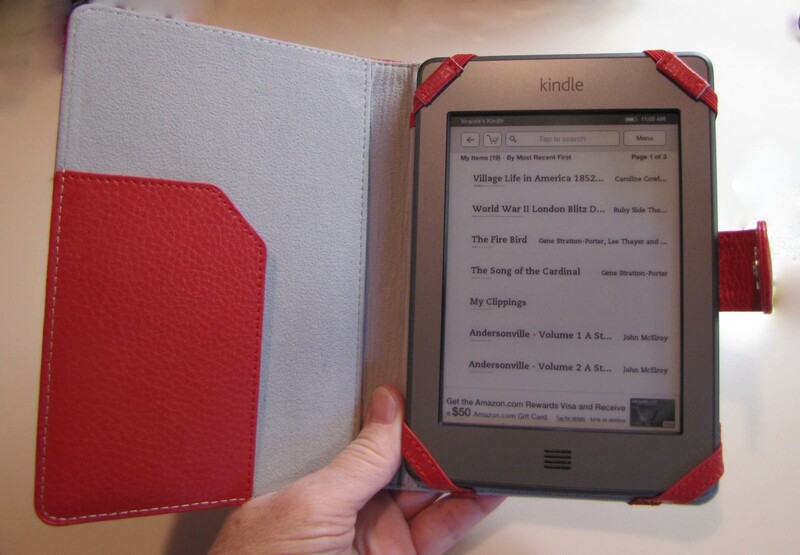 Here's how to self-publish them in a book, share them in a blog or store them properly for future generations. Have you seen limpkins? How about their chicks? 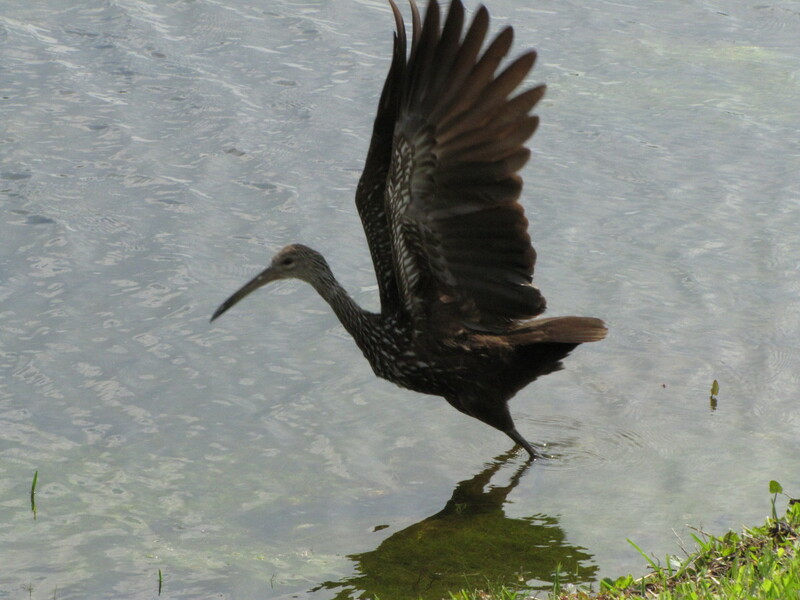 I share my photos of these reclusive Florida birds and some observations of their behavior. Everyone is worried about the bees and the declining population. 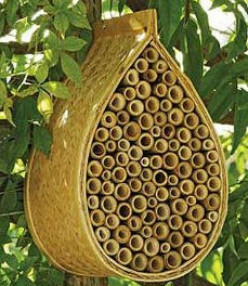 Encourage mason bees in your garden for pollination with a few simple changes. One thing the bees need is a home. Hanging swing seats are like hammock seating and make the most marvelous place to read on a summer day. Just relax and let the seat gently move back and forth. Heavenly! 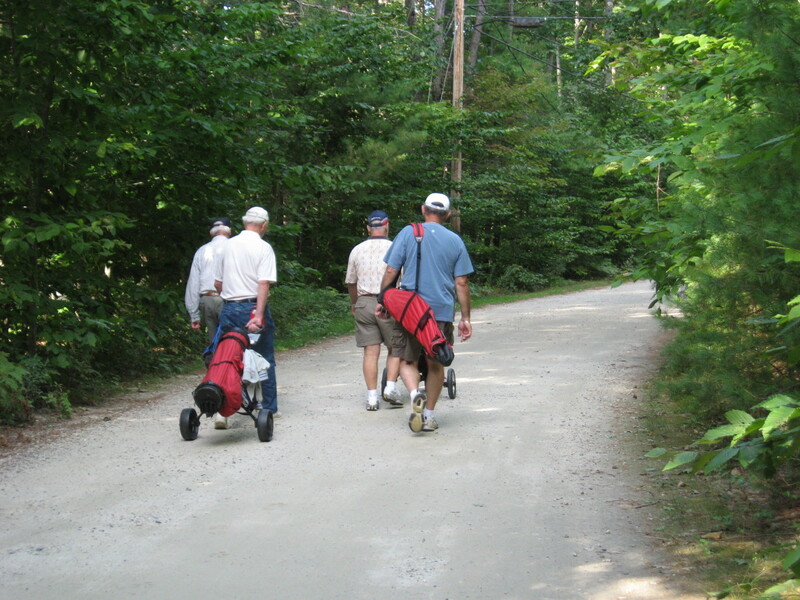 I'm not a golf pro but I've learned a lot from playing the last 20 years. 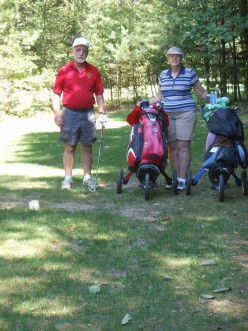 Check out my golf tips and advice on the little things that make the game go more smoothly. 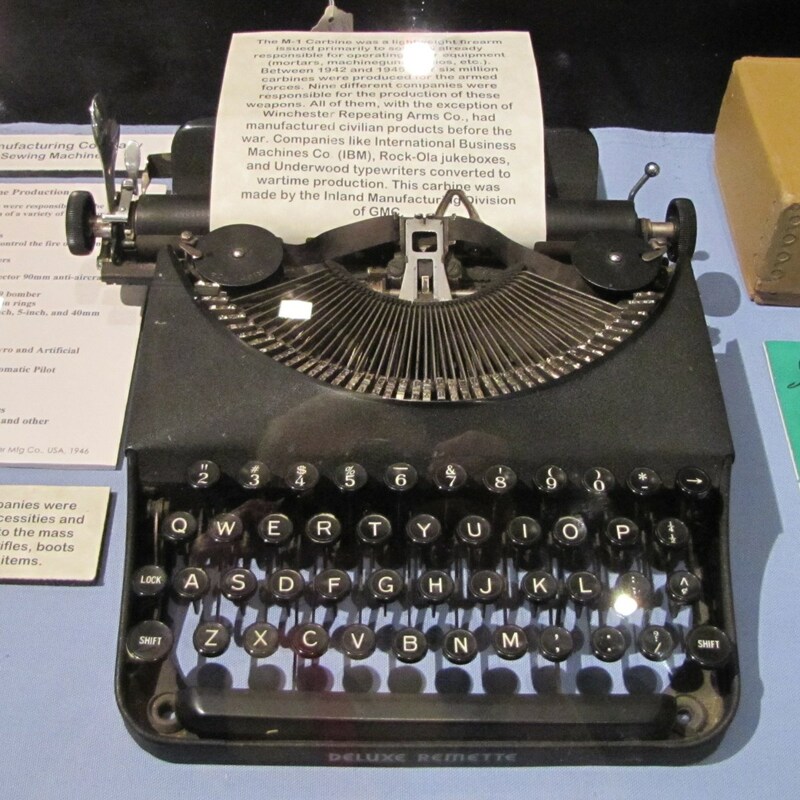 Get more readers for your family history blog with some simple additions to your blog and by using social media. 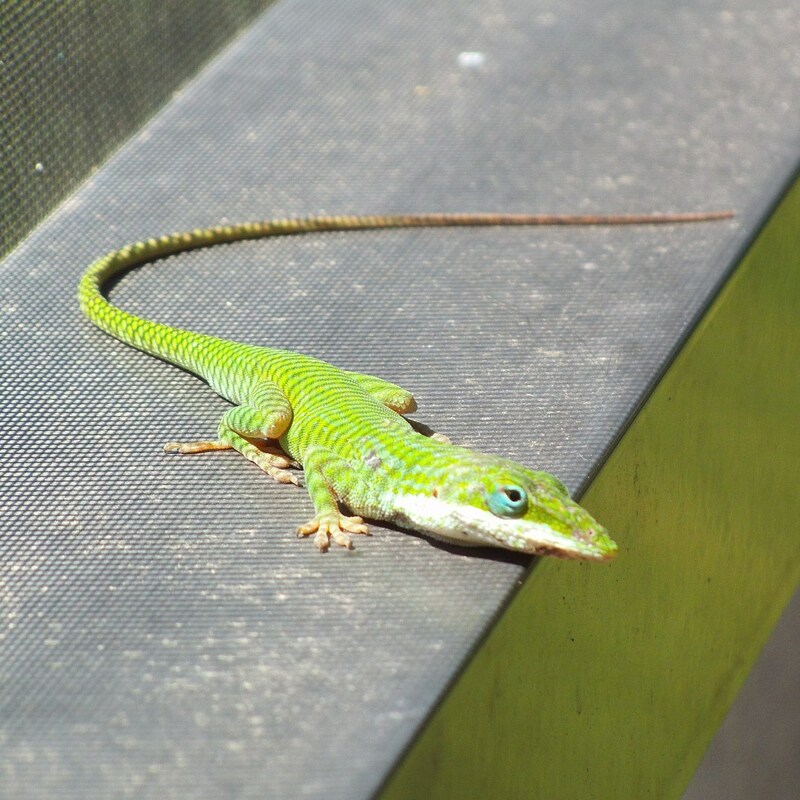 It's fun to observe Florida lizards. 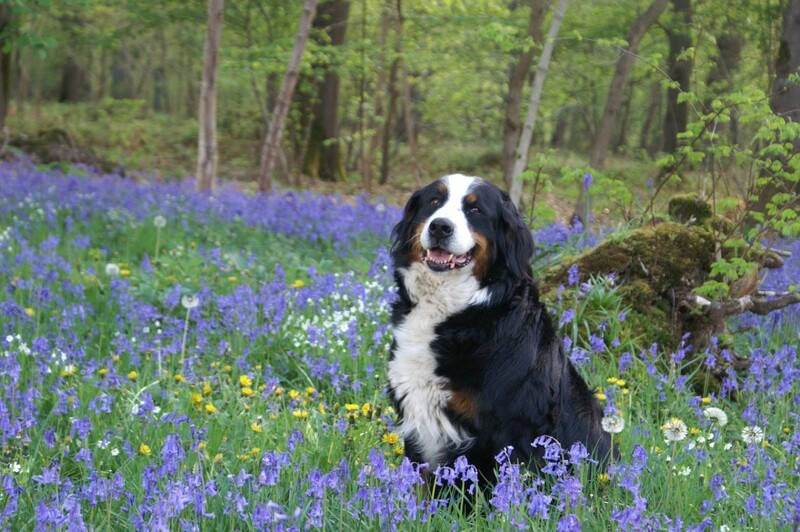 Enjoy the fun facts and photos from this Florida nature lover. Gathering information about early Kansas photographers to help people determine a date for an old picture they have. Dozens of program ideas on genealogy topics for program planners to use in their genealogy club or for other public presentations. 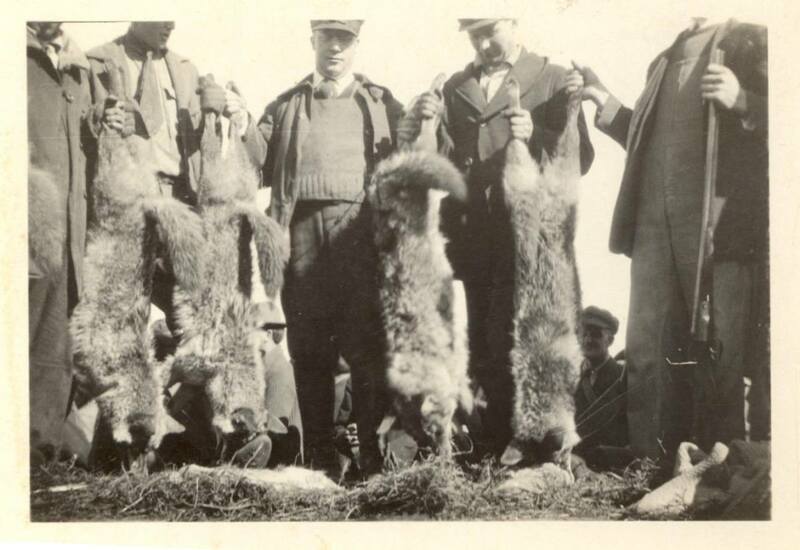 I will discuss what old newspapers revealed about the history of "wolf hunts" in Kansas dating back to the 1800's and as recent as the 1950's. 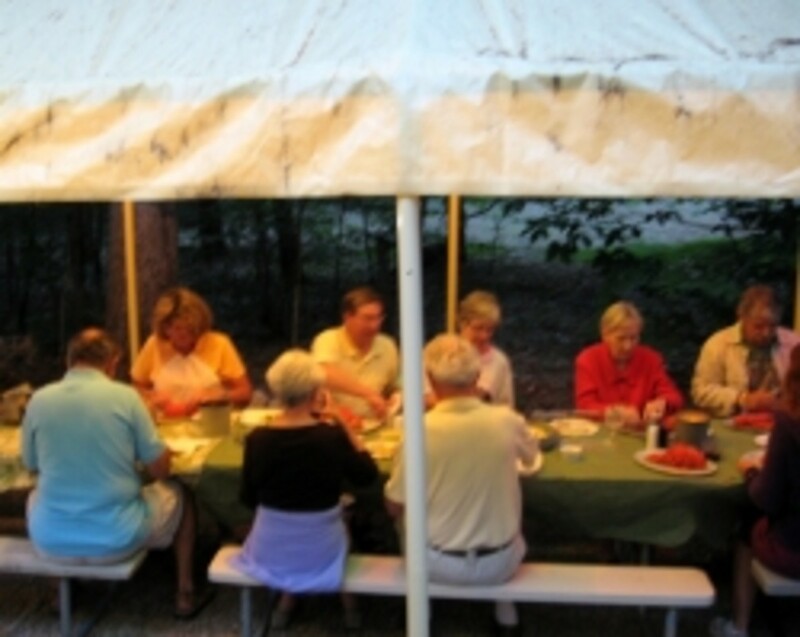 I share our experiences with RV parks throughout the eastern half of the U.S. You'll find ones from Pennsylvania to Kansas to North Carolina. 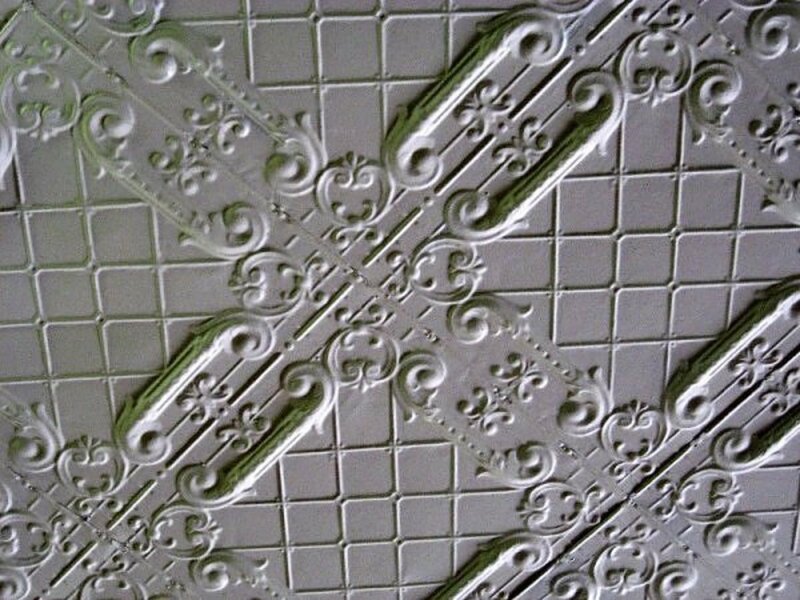 In visiting small midwestern towns, I like to look for vintage tin ceilings in the old stores. There are still some around and they are beautiful. Won the Lottery? What Would You Spend It On? It's fun to dream about what you would do if you won the lottery. Here's what people want if they became overnight millionaires. 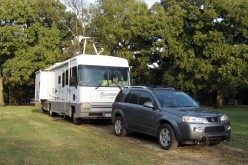 Rving can be fun and also frustrating. 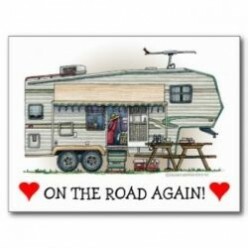 Here are tips from my years of experience with a 5th wheel, RV, campervan, and other recreational vehicles. Words that sound alike but spelled differently often trip people up when they are writing. Here are some tricks to remember which one to use when. If you no longer want a spa, you may wonder how to get rid of such a large thing. Here's what I learned and some tips on the process. 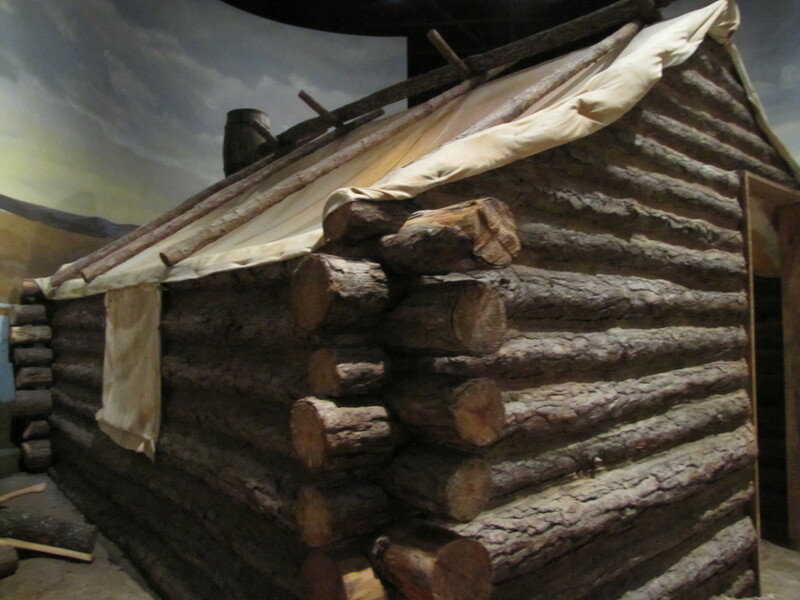 How did the troops live during the winter during the American Civil War? Learn about their camps and shelter during those times. 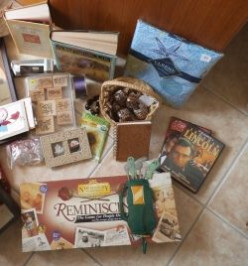 Meet a collector with a heart. 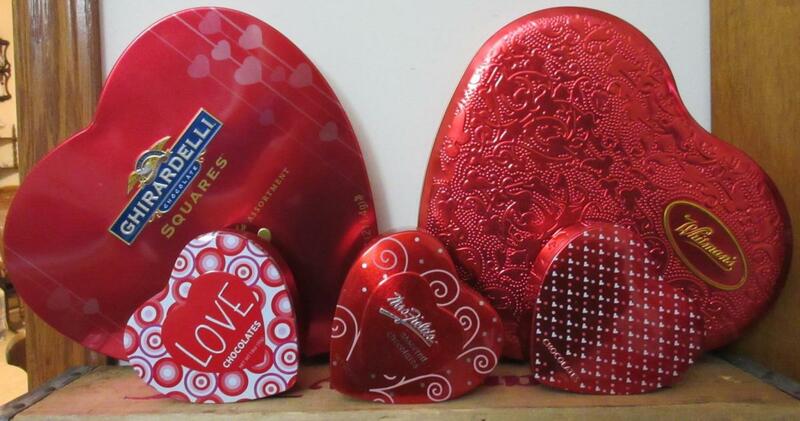 Actually, lots of hearts, as she collects heart-shaped candy tins. 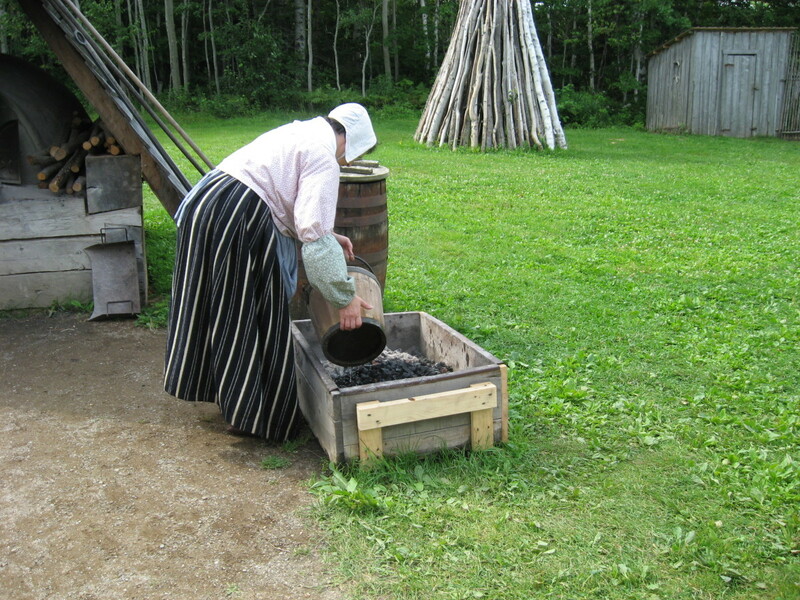 The early Acadians were driven out of Nova Scotia. 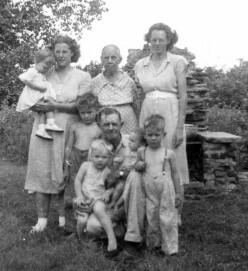 My husband's family, the Allains ended up in New Brunswick. Here's what we've found out about that migration. 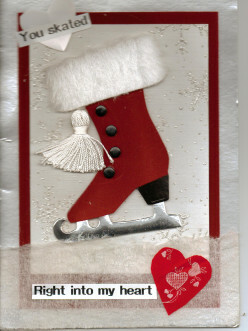 Give a child a card making kit before Valentine's Day so they can make their own cards. 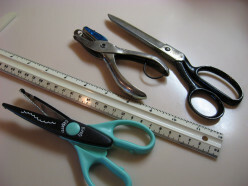 Assemble the kit from supplies you have around the house. 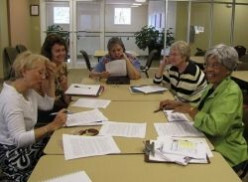 After years of teaching groups of seniors about writing their life stories, I'm sharing here my tips on Memoir Writing. I hope you are writing your own memories for future generations. 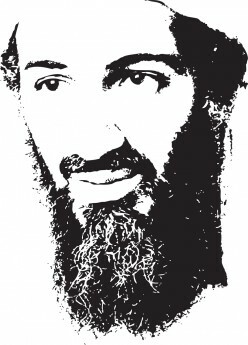 An event that might have fixed in your mind is the announcement of the death of Osama Bin Laden. 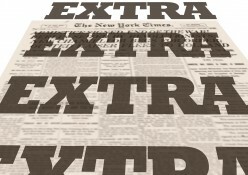 Where were you and what were you doing when you heard the news? Those with anti-immigrant feelings might want to pause and think about where their own family came from. Do you know your ancestry? 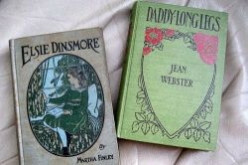 If you like history, vintage paper items, & learning about people's lives, try collecting antique diaries. 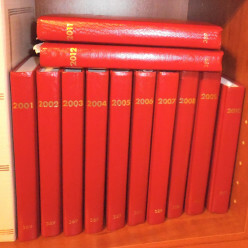 Here are guidelines for selling these or restoring them to a relative of the journal writer. Make small changes in the foods you choose when eating out, and you can get on track with your weight loss goals. Check out my tips. Speaking up on political matters has grown in importance. Suffering in silence is not going to change any of the issues, so here's my opinions on many of the political issues of the day. When Obama was president, the abusive language used about him was quite disturbing. I countered some of that as best I could with my essays. 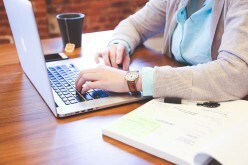 Genealogy fascinates many, but if you want to find your ancestors without spending lots of money on subscriptions, check the advice here for ways to save on an Ancestry membership. It's interesting to see people's memories of momentous events in modern times. 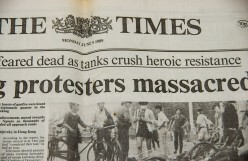 The Tianamen Square massacre was a horrifying event. Read what people remember about it and add your own memories. 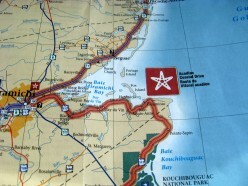 There's much to see on an auto tour of the Canadian province, New Brunswick. 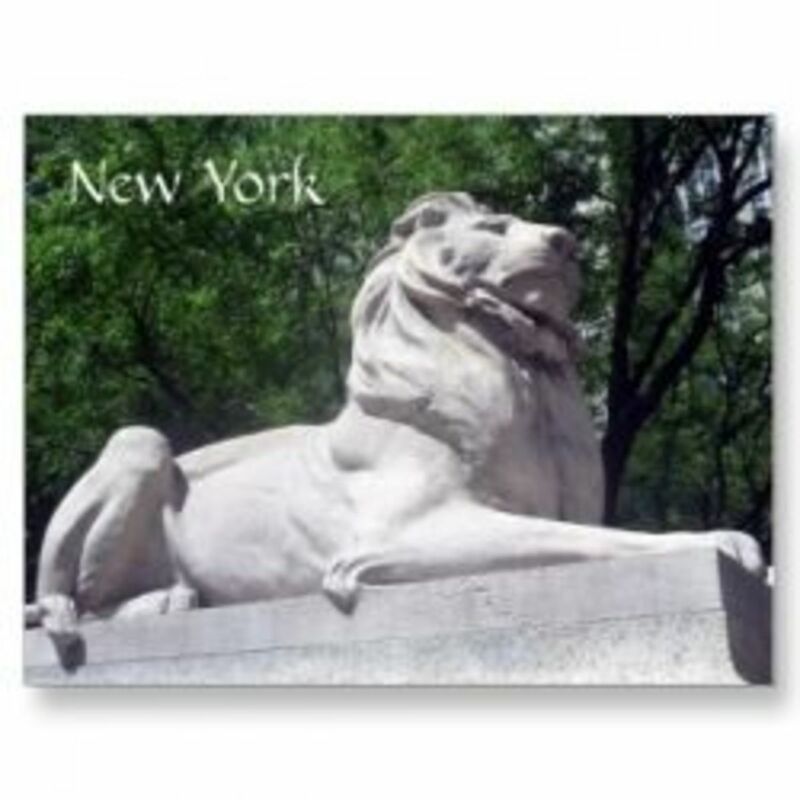 Here are my travel tips and photos. 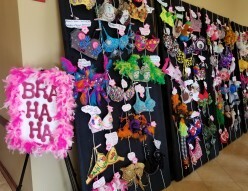 Applying some fun to fundraising for breast cancer, our community decorated bras in creative ways. 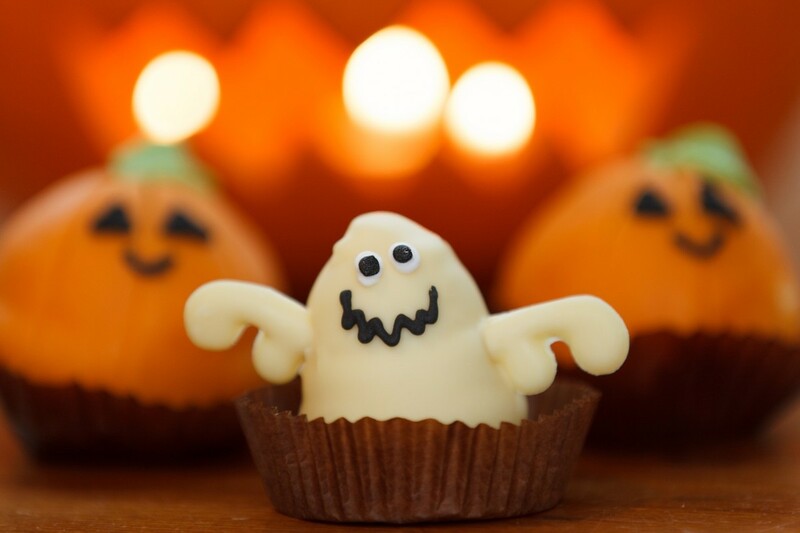 Make some fun Halloween snacks for your bridge club, for a party, or just for the family to enjoy in October. These are super-easy! Instead of an expensive and elaborate wedding, consider a minimalist wedding. 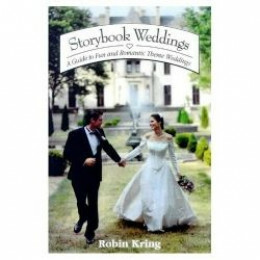 Less wear and tear on the bride and groom and less stress on the budget. 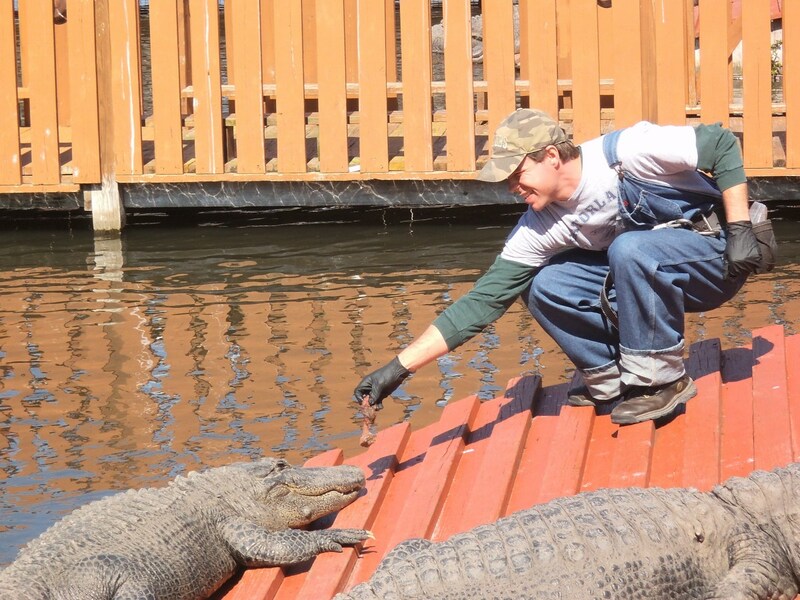 Gatorland makes a great family outing in Kissimmee. Here's what you see when you visit this wildlife park. 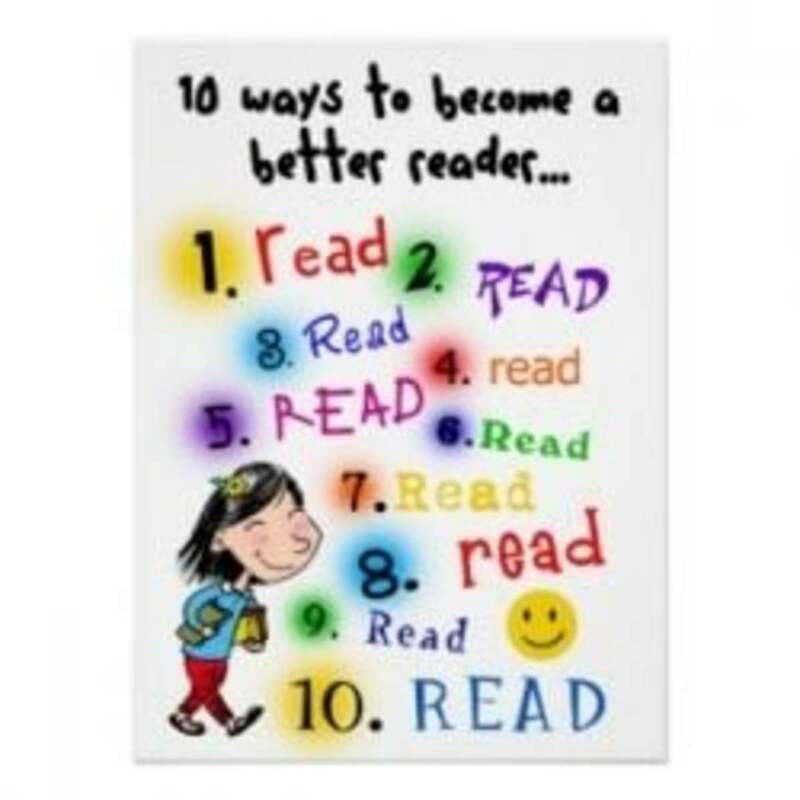 Reading is crucial to success in school. 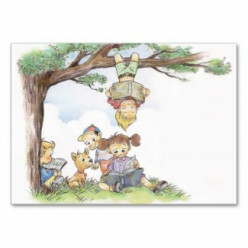 Don't wait, get your child a library card and start reading to him/her from babyhood onward. 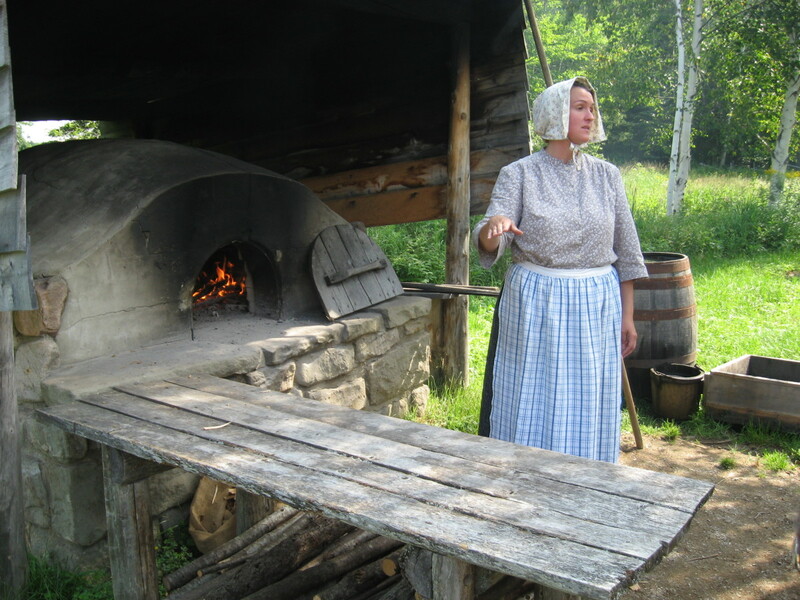 Learn about the lives of Acadian women in the 1700 and 1800s in Nova Scotia and New Brunswick, Canada. Turn your stash of socks without matches into something useful. 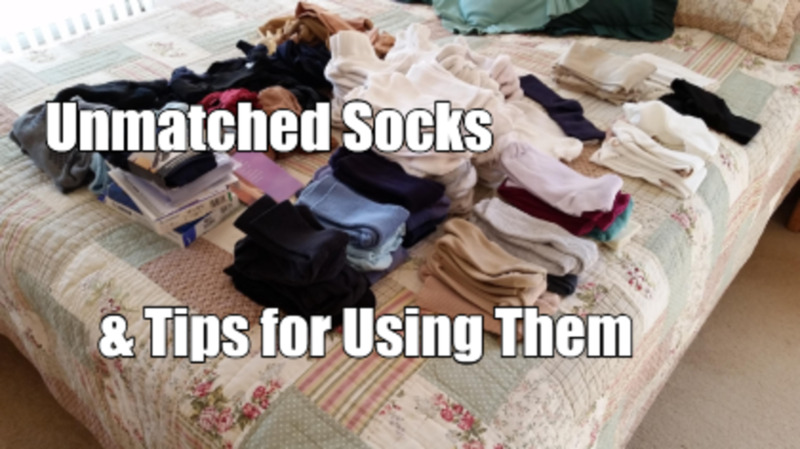 Try this tips for ways to repurpose stray socks. 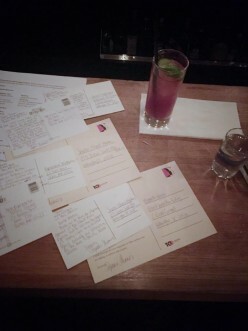 Many voters are resorting to postcards for contacting their representatives and senators and the people in the White House. Here's how to do this effectively, even make it a party. 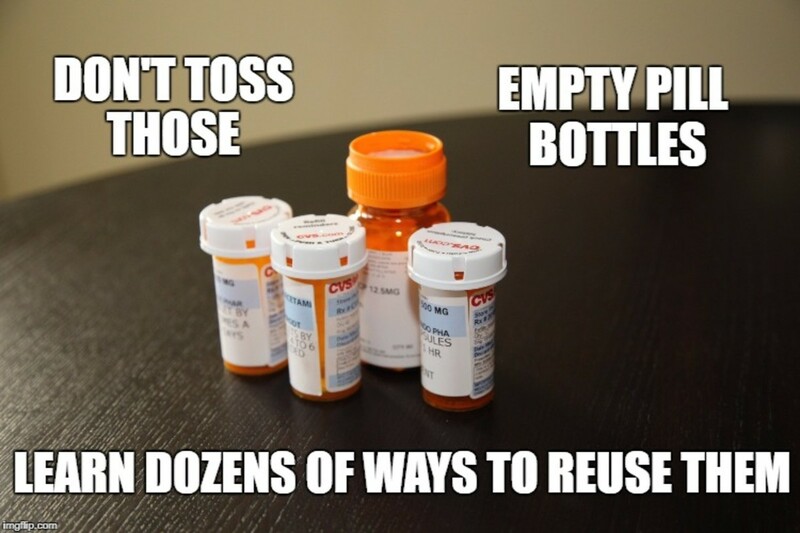 Save empty prescription containers and put them to use. They are a handy size and watertight, so are useful storage bottles. 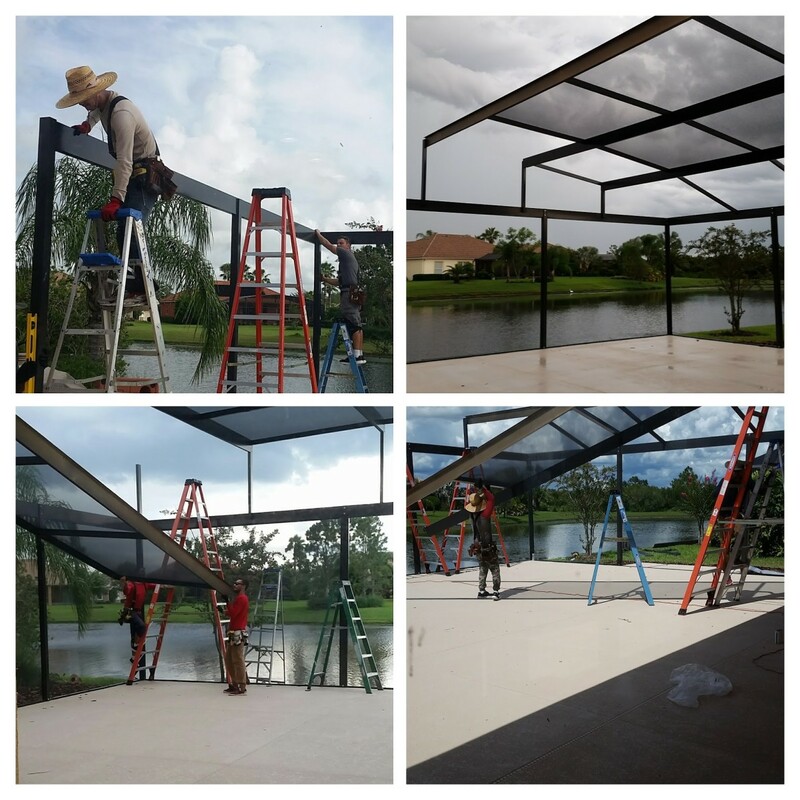 A screen room provides lots of outdoor living space. Check out our project to get ideas for what you might do. 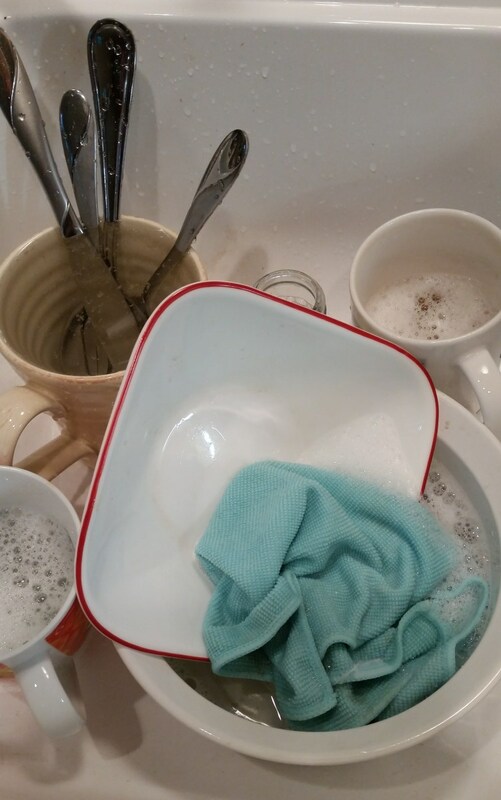 Wash your dishes in a minimum amount of water with the ideas you'll find here. You'll save on your water bills and feel good about saving the environment. 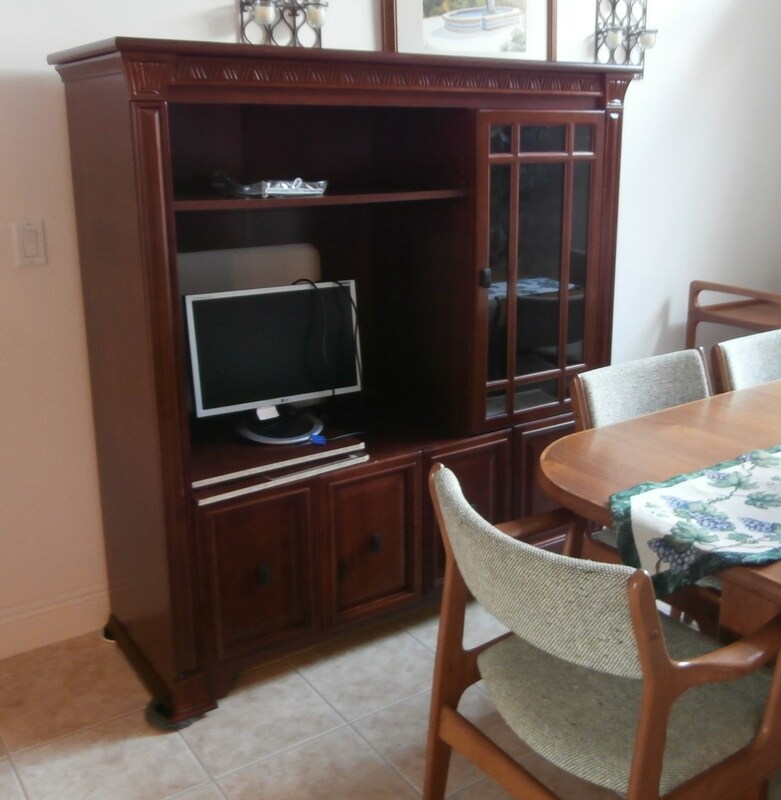 What can you do with a clunky, unwanted entertainment unit? Here are some ideas to put these to good use in your home. 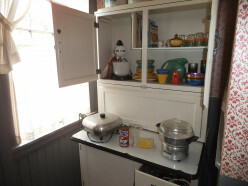 Pantry, linen cupboard, wine cabinet are just a few of the ideas. Stuck With Your Parents' Stuff? Will your children want your treasured belongings when you die? Do you have space and the time to take your parents' possessions right now? 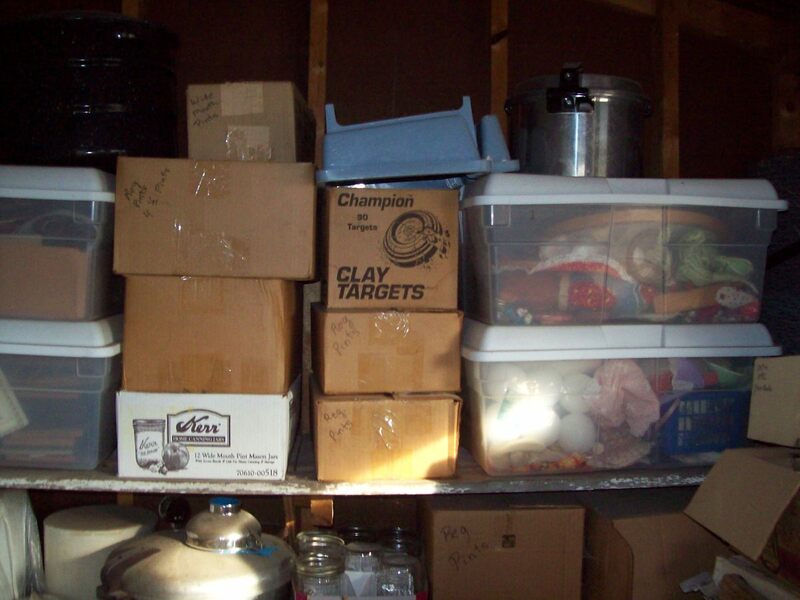 Here are options for dealing with inherited STUFF. 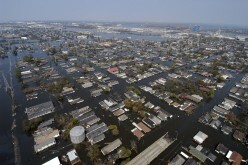 Hurricane Katrina is one of those events that stick in your mind. 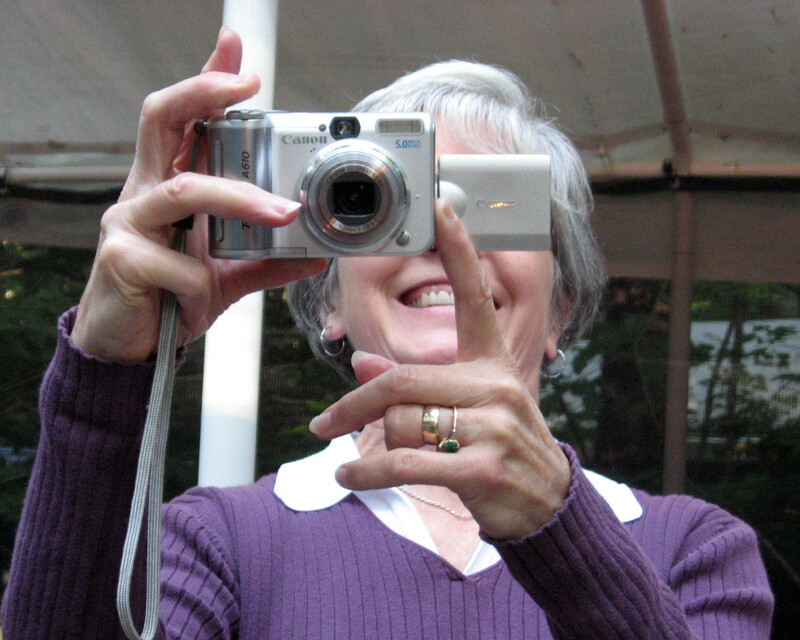 People tell about how it affected them personally and share their memories. 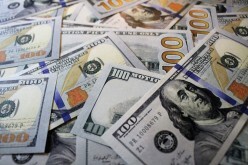 Are monthly storage unit fees draining your budget? 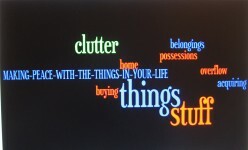 Do you really need what you've stored there? Maybe it's time to rethink paying for storage. 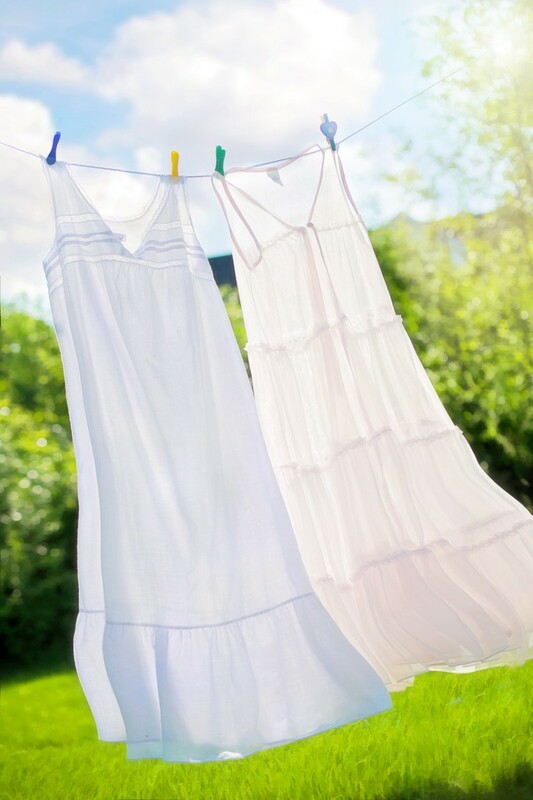 Does line-drying save money and reduce the wear and tear on your clothing? Yes, and that's not all. Learn more about this old-fashioned method and why it makes sense. Let's examine what draws people to change their lifestyle and choose minimalism. 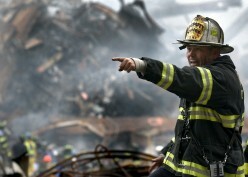 The terrorist attack on the World Trade Center in New York on 9/11 is seared into American's memories. Read others sharing their rememberances of that day and share your own. 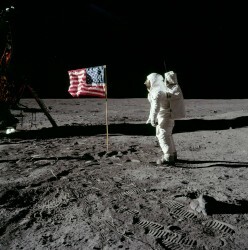 Do you remember the first man on the moon? People share their memories here of this momentous occasion. 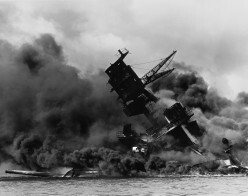 Every December 7th, on Pearl Harbor Day, Americans remember that dreadful attack. 1941 was almost 80 years ago, so fewer have first-hand memories of the event. When something terrible or great happens that is important on a national and international level, we tend to remember it and where we were at the time. I asked people to share their memories here. 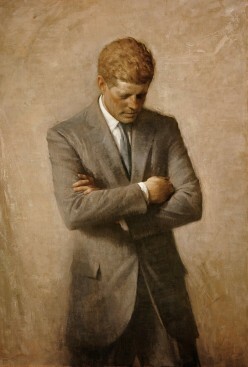 Do You Remember When Kennedy Was Shot? The Kennedy assassination happened over 50 years ago but people still remember in great detail where they were and how they felt. Read their memories here. 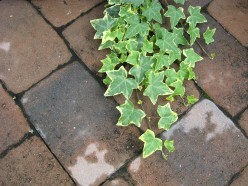 What's involved with taking out a patio of pavers and replacing it with concrete? Here's how we did our project, with instructions, tips, and photos to show the steps. 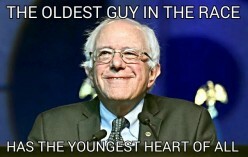 Sharing information about Bernie Sanders is easy with hundreds of memes floating around on Facebook. Once can even make your own memes or just share the ones you find online. Another mystery on the family tree - here's how I solved it. Maybe you can pick up some tips. 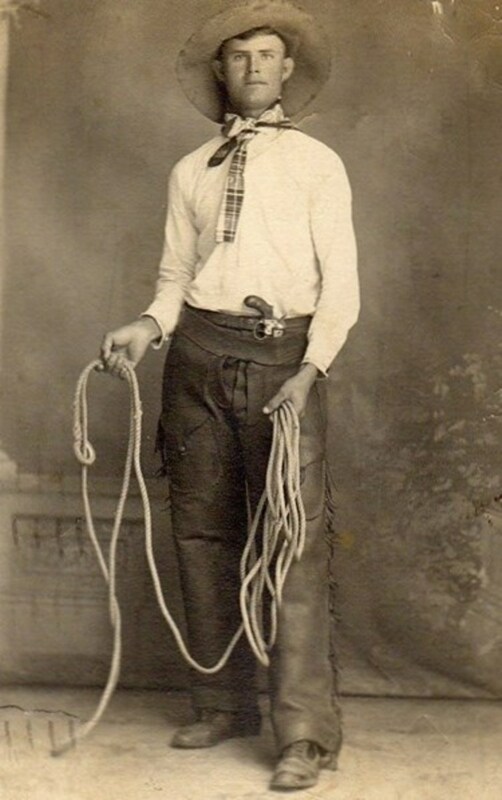 In the early 1900s, there was a fad to have your portrait taken in cowboy outfits. These were printed on a postcard to send to family or friends. Here are dozens of ways to get further use from clothing, socks, and towels that are stained or for some reason not suitable to donate to charity. Save the earth by recycling and repurposing. 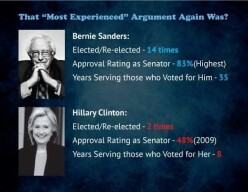 Here are awesome endorsements by legislators, activists, and celebrities for Senator Bernie Sanders. Maybe an endorsement by Senator Elizabeth Warren and others might have ended in Bernie winning. 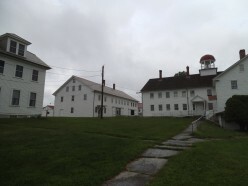 The Shaker way of life is preserved as a historic village in New Hampshire at Canterbury. Find out more about it and see the interesting architecture of the Shakers. 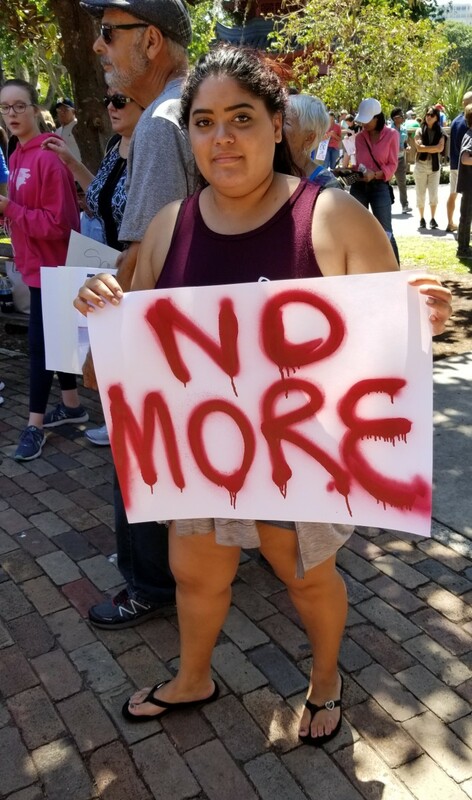 It's not too late to join the 2019 in 2019 movement. Clear out 2019 useless, redundant items from your home. Here's how to get going. 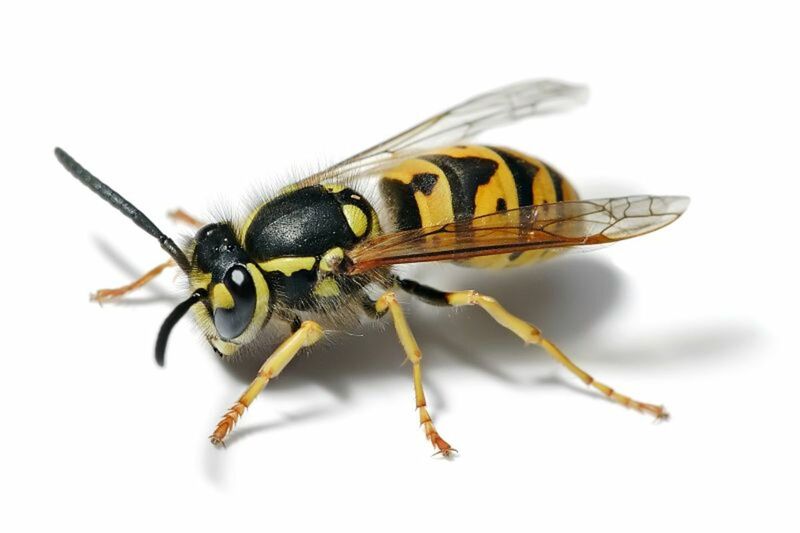 Plagued by yellow jacket wasps? These aren't easy to get rid of. I tried a variety of solutions and found one that worked for me. Here's my experience. 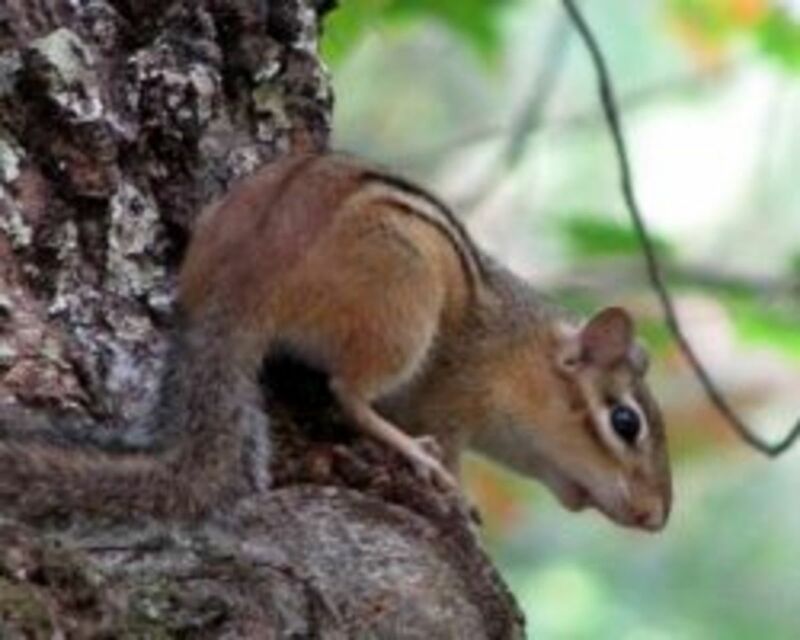 Although chipmunks are cute, they can become a real pest. 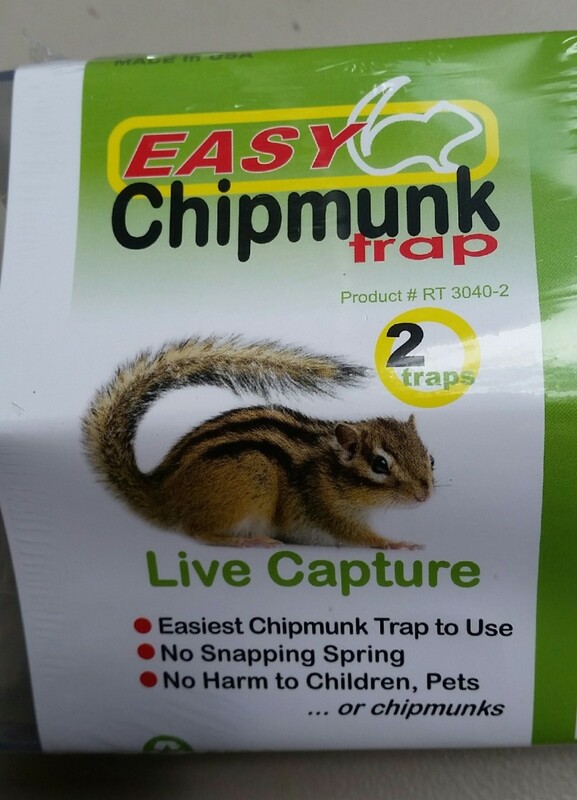 Removing them humanely can be easy with this new live capture device. Here's my review of it. Voting should be easy, but many circumstances complicate the procedure. Dedicated voters for Bernie Sanders overcame many obstacles to cast their vote for their candidate. 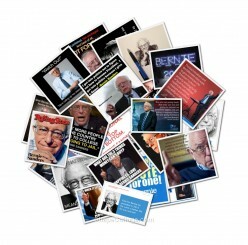 It's amazing the number of songs written to celebrate Bernie Sanders' run for president. Enjoy videos of these creative, original & some parody songs. There are protest style songs too. Debates between the supporters of the political candidates often get heated. 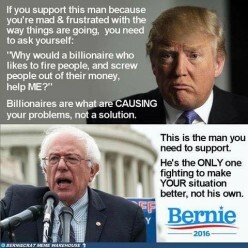 For those supporting Senator Sanders, here's advice for the best way to persuade others. Reminder: Use facts not insults. Americans desperately need better health care without high insurance deductibles, exorbitant monthly premiums and outrageous drug prices. Too many people suffer from this and it needs to change. 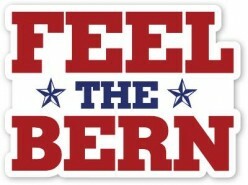 You are feeling passionate about Bernie Sanders for president but can't afford to donate often. Don't feel bad about that, just apply your efforts in other ways to help him win votes. 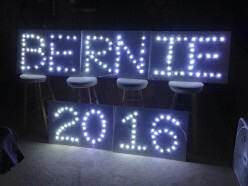 Fans of Bernie Sanders are endlessly creative in supporting their favorite presidential candidate. 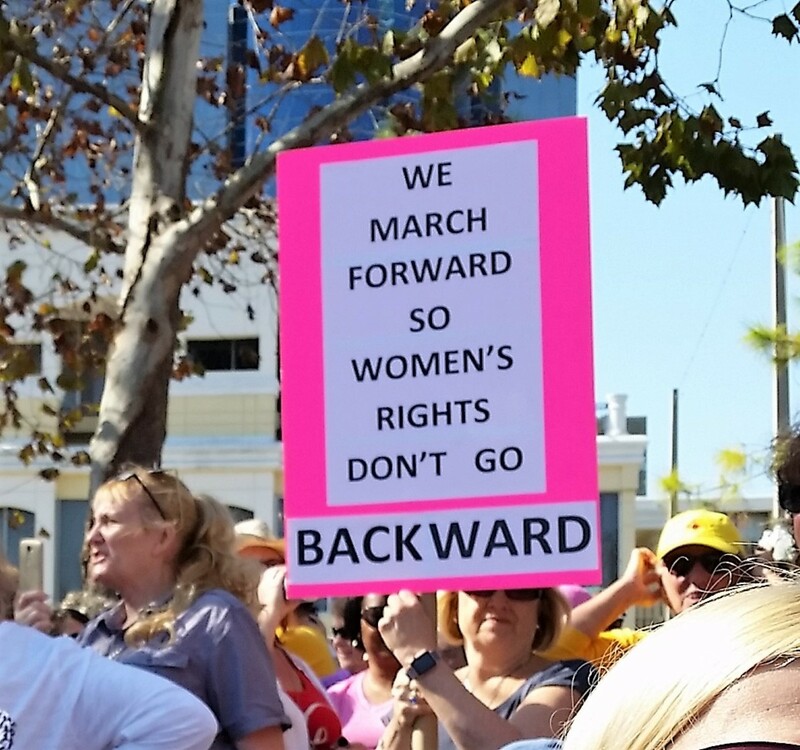 They make their own signs and design t-shirts. 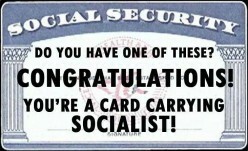 You can too. Here are some projects for you. 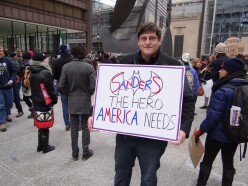 Winning votes for Bernie Sanders for president starts at home. Talk to your parents and win their votes for your favorite candidate, Bernie! 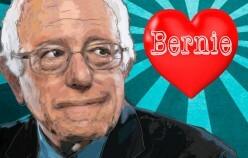 Here are tips on turning their hearts and minds to Bernie. The presidential election affects people outside the U.S. Our next president's policies impact other nations. That's why some foreigners are taking part in campaigning for Bernie Sanders. A pundit claimed that candidate for president, Bernie Sanders has the wrong message, making people feel poor. His followers say that totally misses the Sanders' point on income inequality. 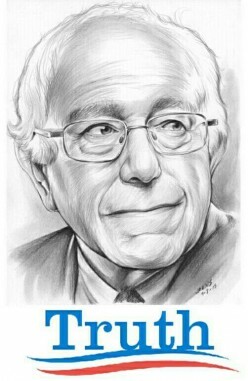 It inspires me when I see people struggling to make ends meet, but still they donate to Senator Bernie Sanders' campaign. They care so much about improving our government and saving America. Chris Matthews apparently is a huge Hillary Clinton fan, as he totally bashes Bernie Sanders while gushing over Clinton. If you haven't seen it, here's some video and also comments by observers. 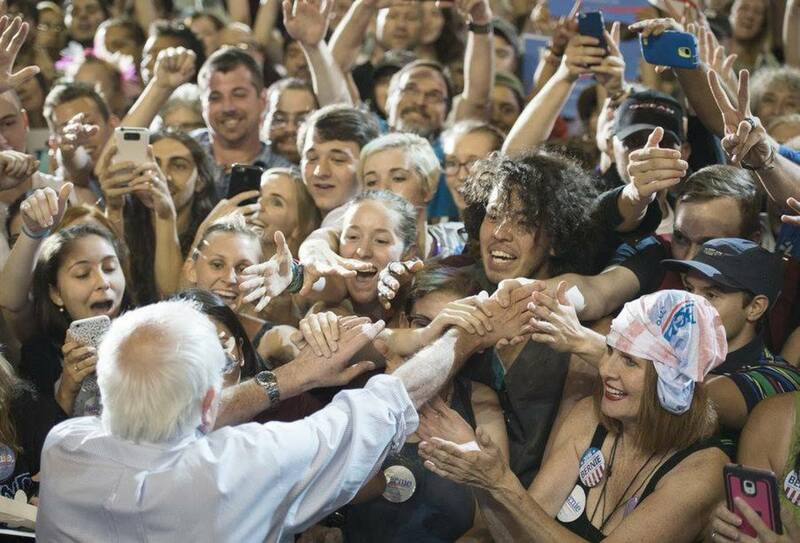 Bernie Sanders in his campaign for president inspires a passion in his listeners. It's not just the vision he shares and his willingness to work towards that. His appeal crosses generations. 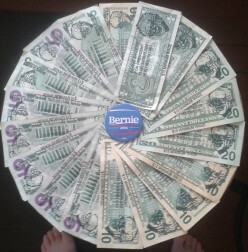 Here's an easy, no-cost way to support your favorite candidate, Bernie Sanders in his campaign for president. 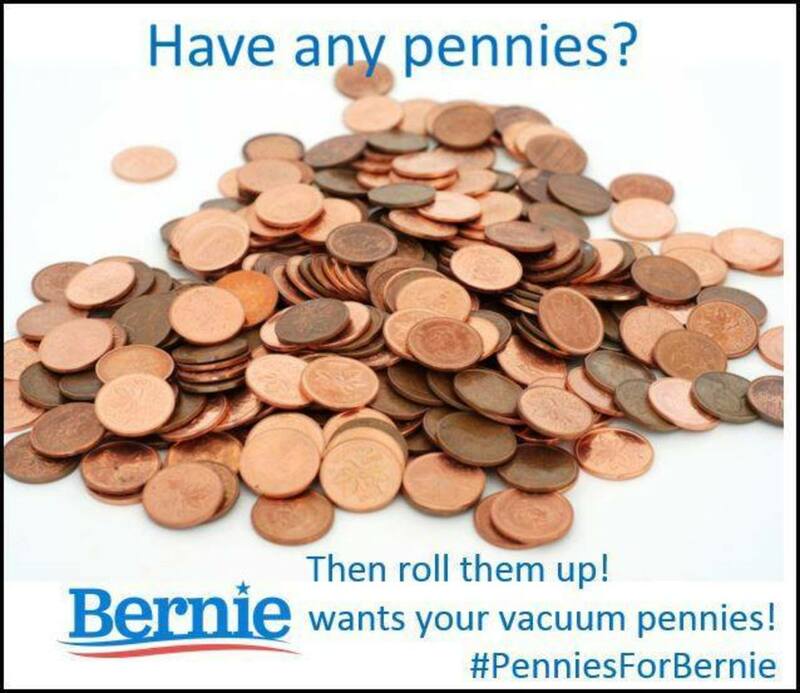 Write Bernie slogans on currency and put it into circulation. Yes, it's legal. Here's how. 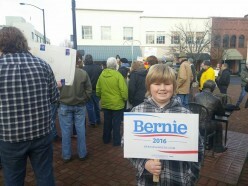 The enthusiasm for Bernie Sanders' presidential campaign inspires not just voters but many kids as well. These young fans greatly admire the candidate. 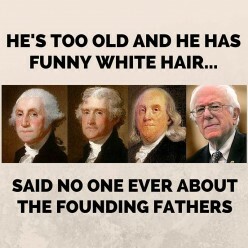 Bernie is a great role model for them. 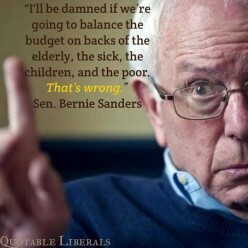 Enjoy some quips from Senator Bernie Sanders and the wise things he says as well. 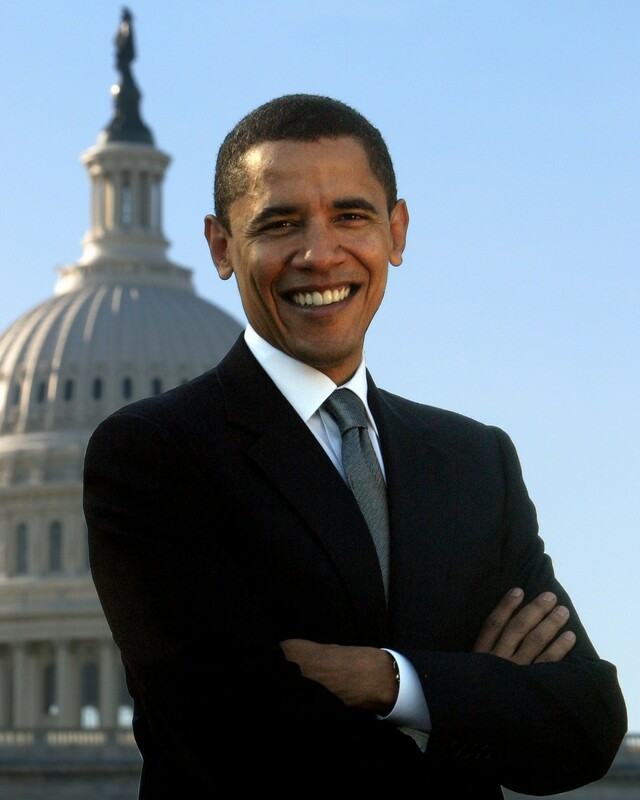 For extra fun, I'm including the YouTube videos of the Saturday Night Live skits about him. 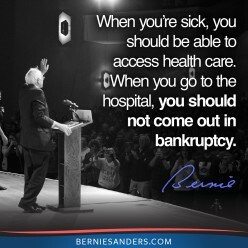 I greatly admire Senator Bernie Sanders and his courageous campaign for president in 2016. Here's what is so remarkable about the man and why I support him. I tell ways you can help him too. Bean soup is filling, easy-on-the-budget and warming. It doesn't have to be boring. 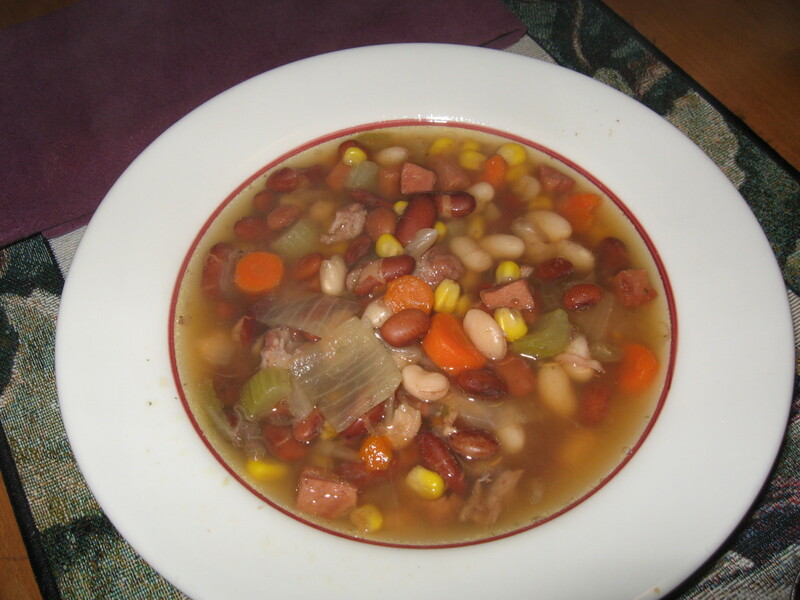 My recipe uses 15 kinds of beans and lots of vegetables. YUMMY! It's part of our cultural literacy, to know about great characters and memorable situations over the past decades on television. 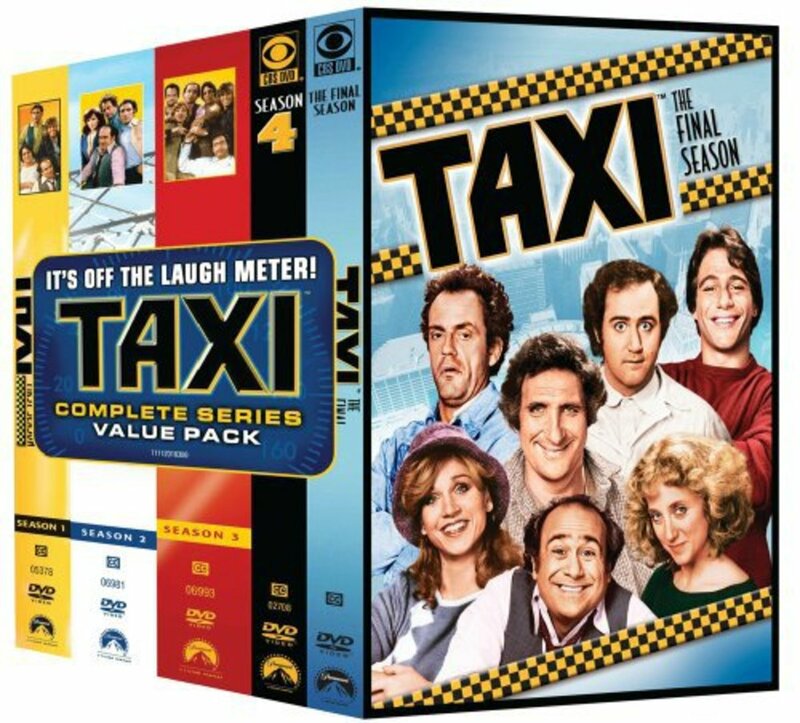 The Taxi series is one that often comes up in casual conversation. It's difficult explaining a complex family history. 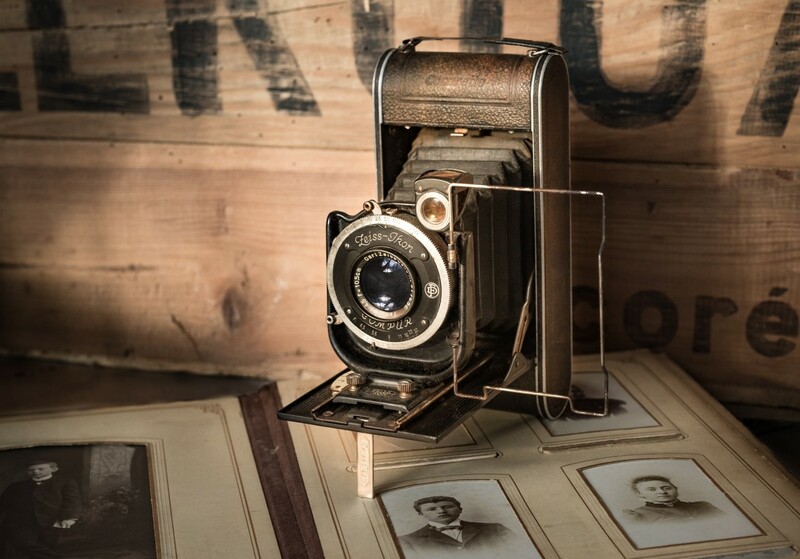 Using screenshots with vintage photos or with a family tree lets you add notes, arrows and boxes to clarify. It's a great way to feature research. Clear out that bathroom clutter, outdated cosmetics, and really organize the supplies that you use regularly. It will save space and speed up your time getting ready for school or work each morning. With just a little sewing, you create a hanging towel for your kitchen combined with a colorful potholder. 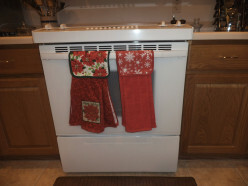 So easy and great for holiday kitchen towels or just for everyday use too. What would you wear to a Florida-themed Halloween party? Here's ideas for fun outfits that will be the hit of the party. 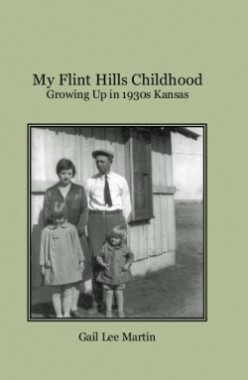 Treat your book club to a homespun memoir that readers compare to Little House on the Prairie. Here are discussion questions and suggestions you can tailor for your group. 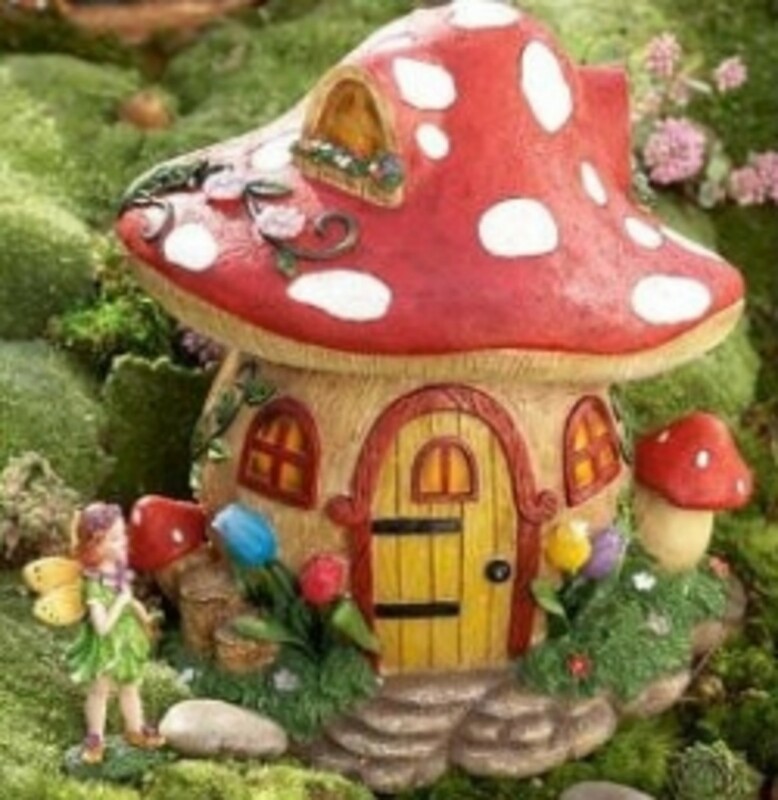 People create fairy gardens in their yard or in containers to enjoy on their porch or inside. 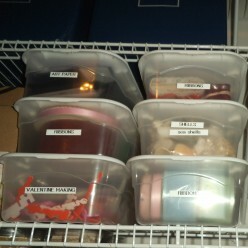 Some are quite creative in the choice of containers. Need some ideas? Here are some. 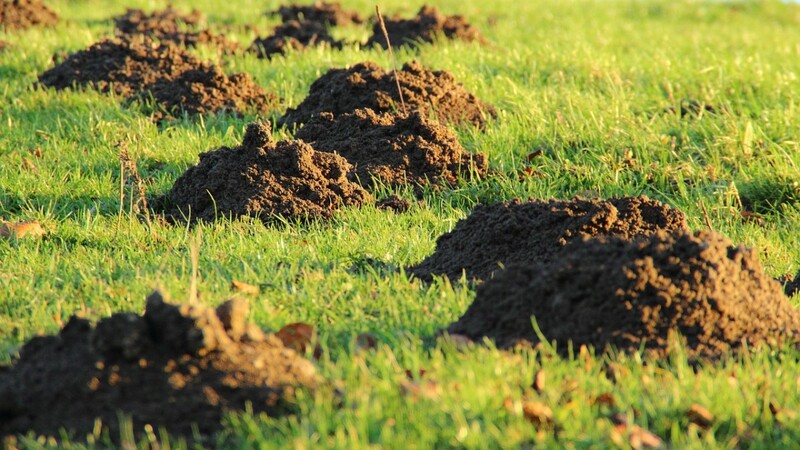 You are seeing raised earth indicating mole tunnels in your yard or garden. 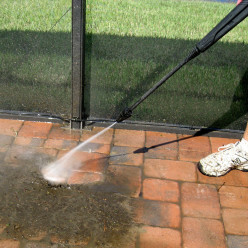 Take quick action with these methods to get rid of this pest. 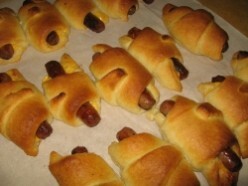 I had good success with these and no more moles for me. 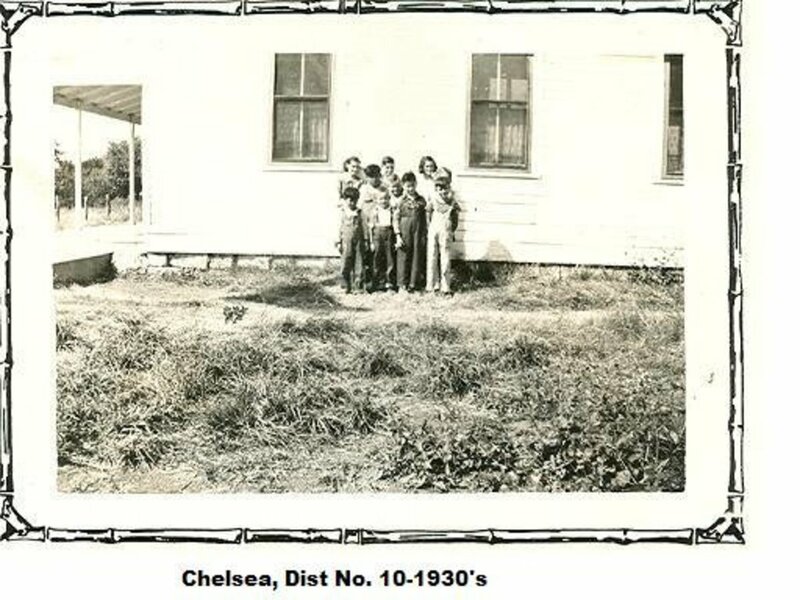 An 80 year old shares his memories of 1930s and 1940s school days in Chelsea, Kansas. The town of Chelsea is long gone from the map, but his memories keep that time alive for us. Enjoy a virtual stroll around my New England garden. 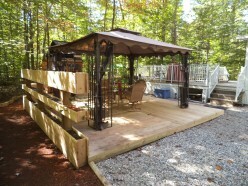 Wander about the paths under the pines and maples, then take a rest on the deck. 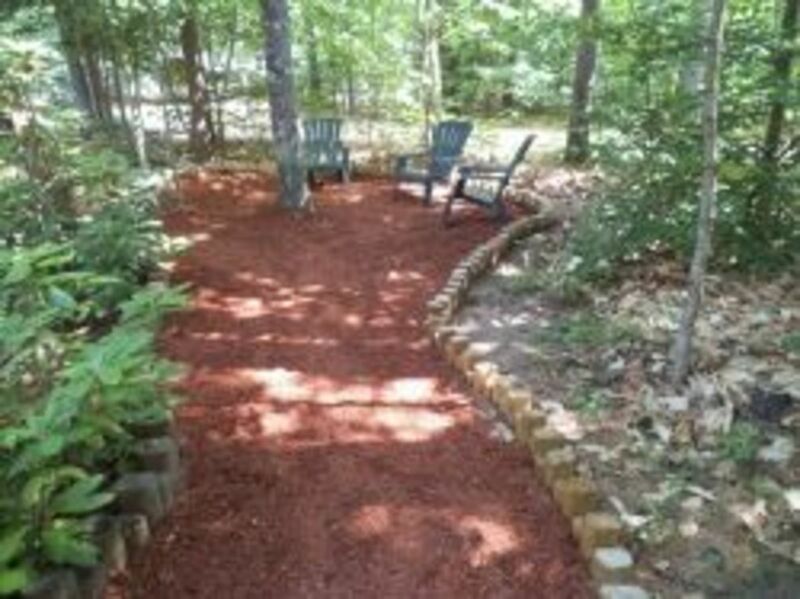 You'll find tips for adding similar features to your yard. 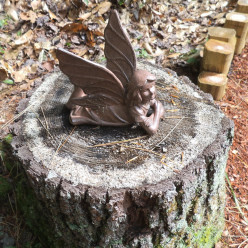 Wondering what to do with that tree stump in your yard? 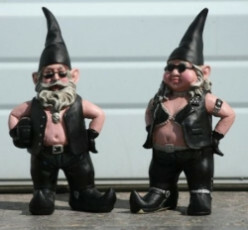 Turn it into an eye-catching gnome home with just a few additions. It's a unique way to convert it from eyesore to a fun part of the yard. 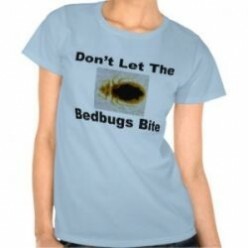 If you have bed bugs, you've got big problems. Don't rush out to the store for a spray can. That can make matters worse. Learn what works and get professional help for this hard to resolve infestation. Thinking of a ground level deck? Need some planters? Combine the two into a deck with a privacy screen of planters. Here's how we did this project and you can make it too. 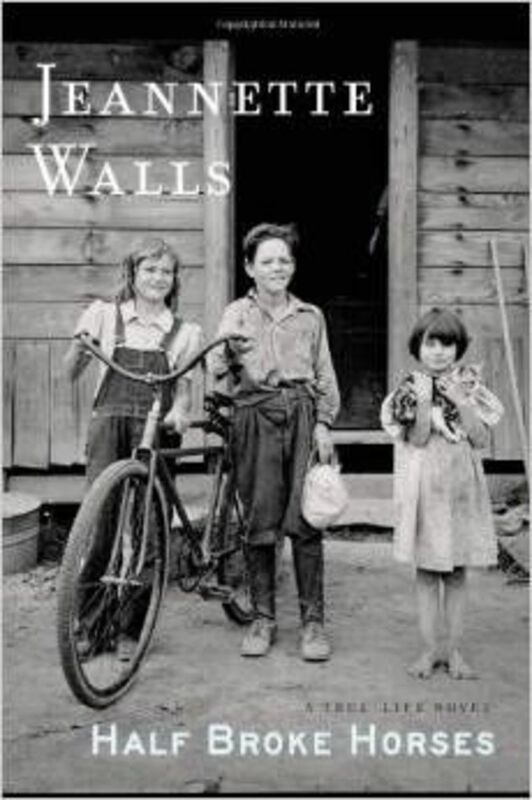 Readers of Glass Castle learn about Jeannette's grandmother in this fictionalized biography. 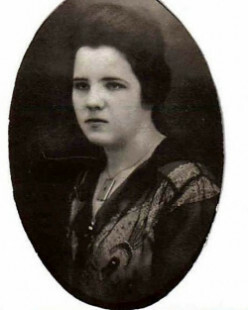 You'll meet a remarkable woman and learn about life in the early 1900s. A great book for the book club. 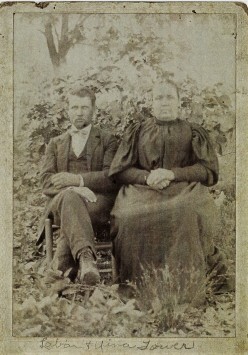 I've managed to collect some photos of my Civil War ancestor, Abraham Bates Tower. Here's what I've discovered from examining these vintage photographs. 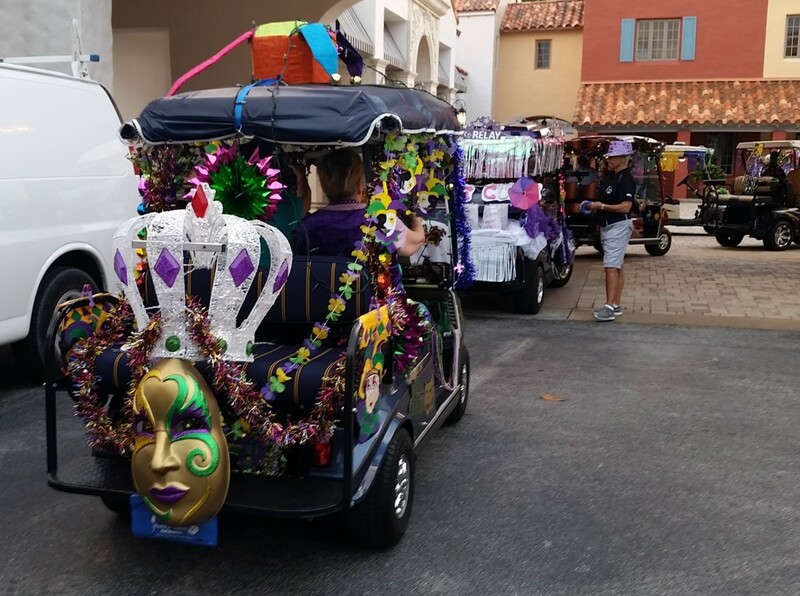 Have fun decorating your golf cart for Mardi Gras. Take a look at parade videos and examples of decorated carts plus tips for attaching the decorations. Do you want a more efficient kitchen? 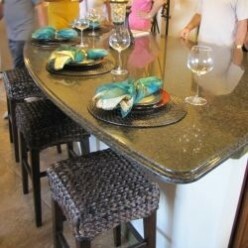 Add an island to get more work space and more storage. 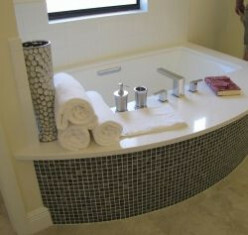 Here's examples from model homes and some of the ones I'm considering for our kitchen. 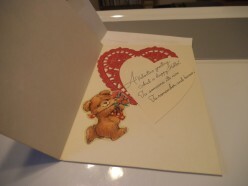 Treat your family and friends and especially your sweetie with a valentine that you make yourself. It's a fun project to upcycle old cards and other odds and ends to create a unique card of your own. I collect vintage spice tins and display them in my breakfast room. Here's how I featured them in a display that gets many compliments. You can use the same shelving for other collectibles. 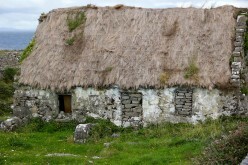 I'm working on the 52 week challenge to blog about my ancestors. 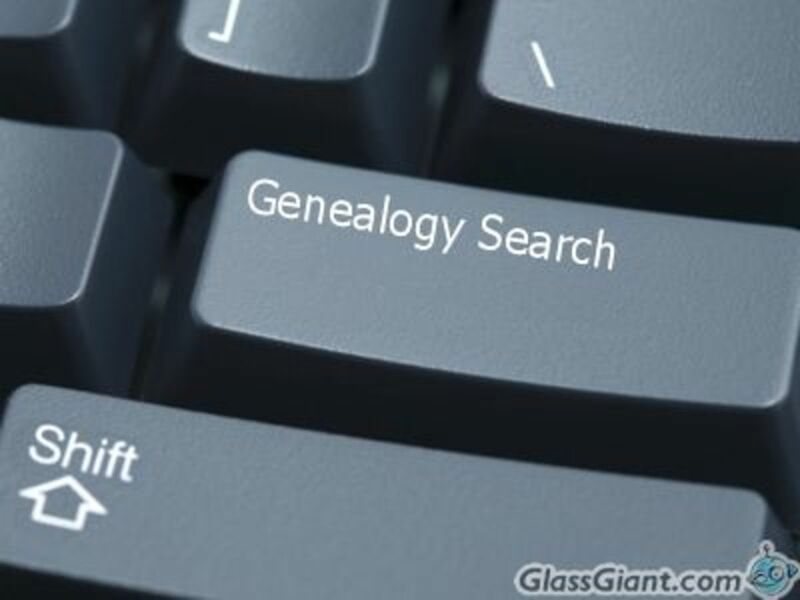 What a great incentive to research and write regularly about your genealogy findings. Why don't you try it too. Here's how to start. 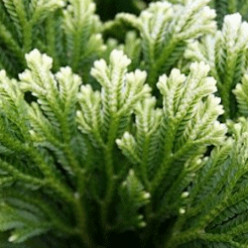 Create a unique Christmas tree for your home or classroom or even the office. 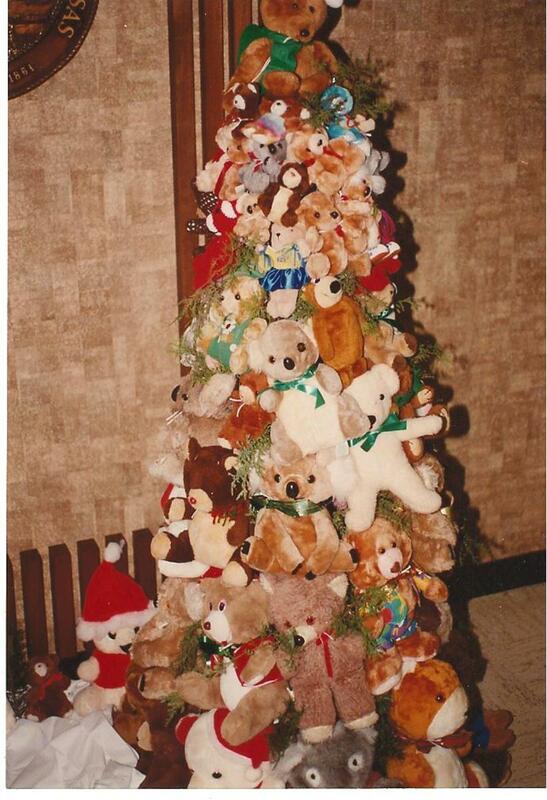 Here are the steps for creating the structure and attaching the teddy bears. Everyone will love it! Homemade gifts keep a Christmas merry even when money is tight. Here are ideas to make your own Christmas gifts. There are easy ones for the DIY challenged among us. 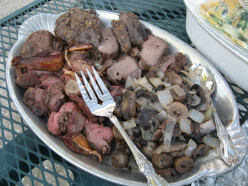 Turn that venison into a tasty feast with this venison marsala recipe. It uses a smoker and the grill to turn out this great dish. Want a great way to display those wine corks you've been saving. 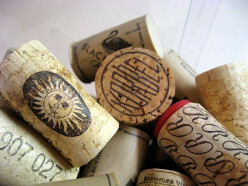 This makes use of all those corks and serves as a tray or lazy susan. It's in easy-to-assemble kit form using your own corks. There are a variety of foot sanding tools on the market, but I find most of them rather ineffective. 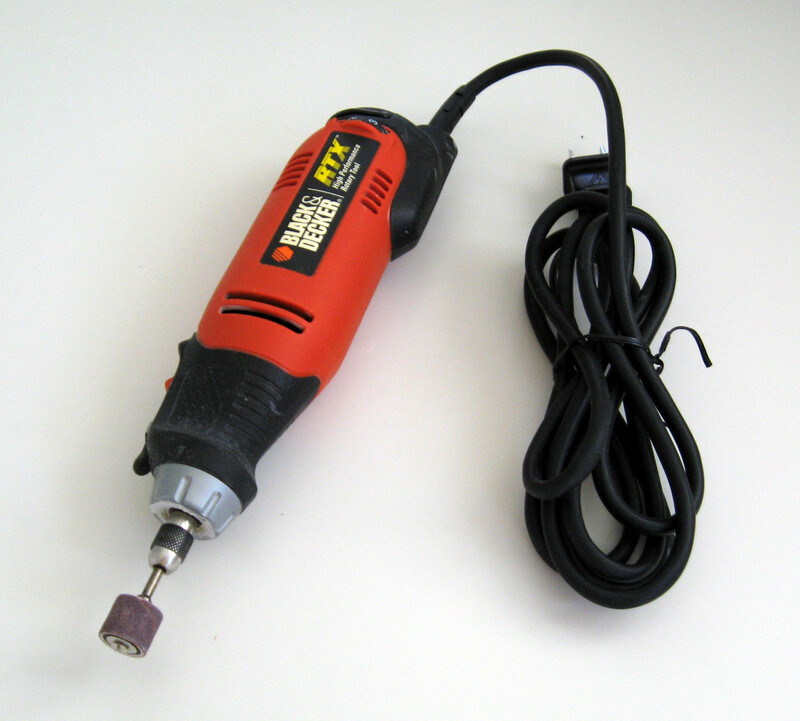 The assistant at the podiatrist's recommended using the Dremel. Here's my experience with it. Little memorabilia sometimes gets forgotten unless you feature it. 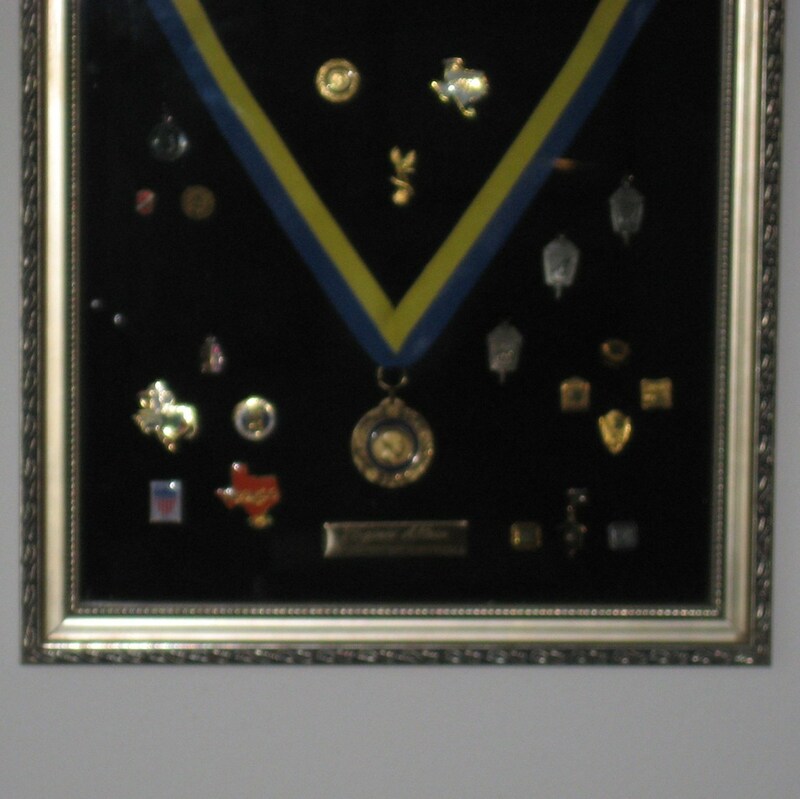 A great way to show off those memories of special times or special people is to create a keepsake box or a shadow box. Here's how. Women golfers take pride when they master the driver, the most difficult club to handle. Here's my experience with the Cobra driver that really moved my game up a notch. I'm thrilled with it. One of the biggest trends in gardening is creating tiny landscapes suitable for a fairy or an elf. 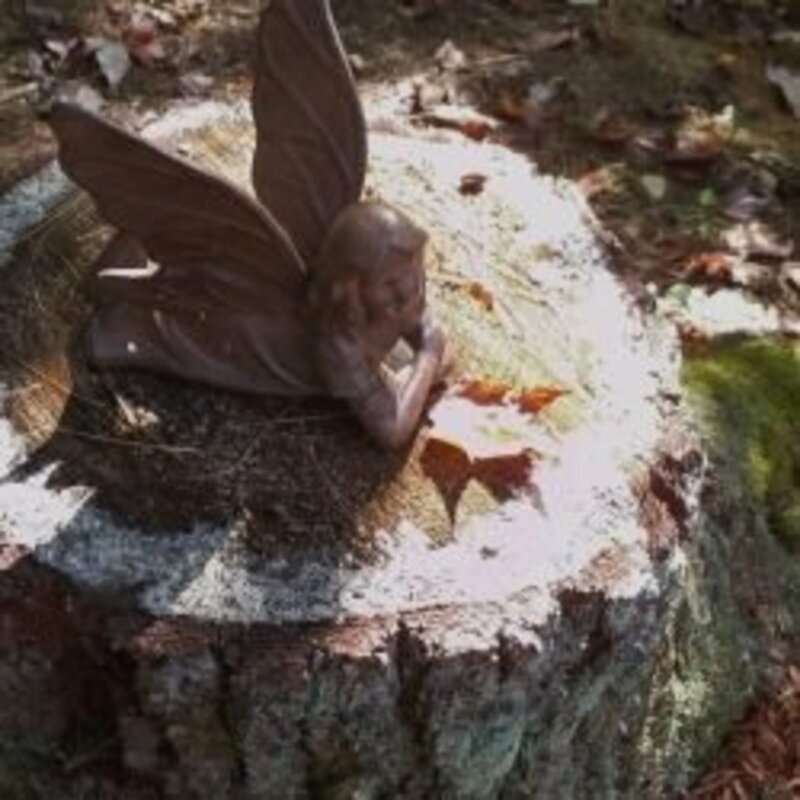 Next you'll want a fairy garden statue in the appropriate size to go with the miniature garden. The Indie film, Everything Is Illuminated combines a road trip, with humor, Russian history, contemporary Russian life, and WWII memories for a story that you'll want to watch more than once. 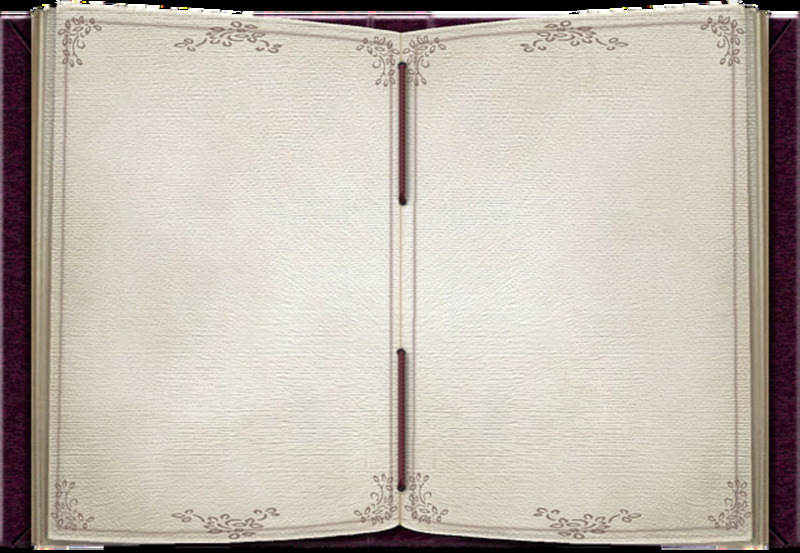 A journal has many uses such as a personal history, a business record or to explore feelings and art. I've tried a number of these over the years and this is the best one I've found. 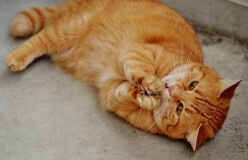 Do you worry about your cat getting bored? 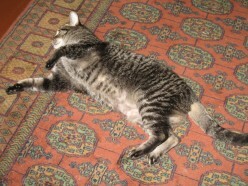 Get that sluggish older cat to playing like a kitten with a FroliCat rotating laser toy. You'll get hours of fun watching your cat pounce and pursue this. 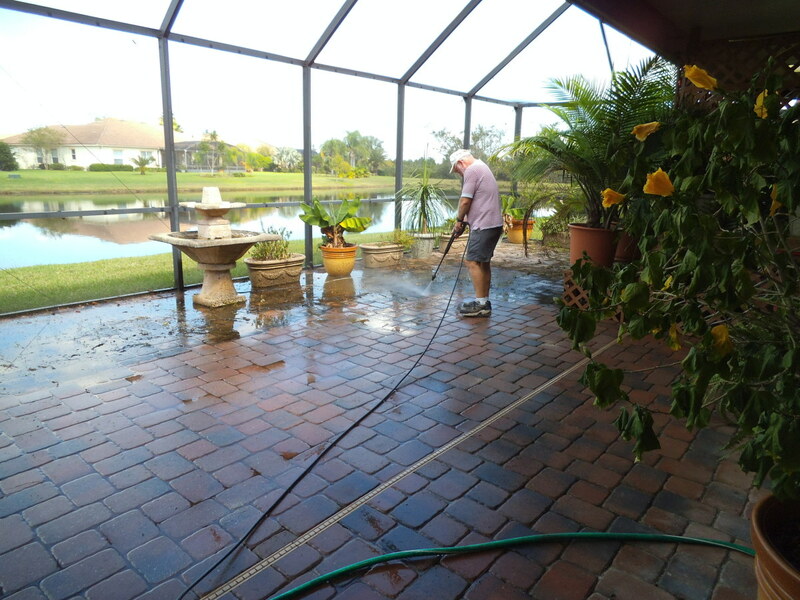 What can you do with a pressure washer? We tackle so many home improvement projects that this machine makes so much easier. Here's what it does for us. 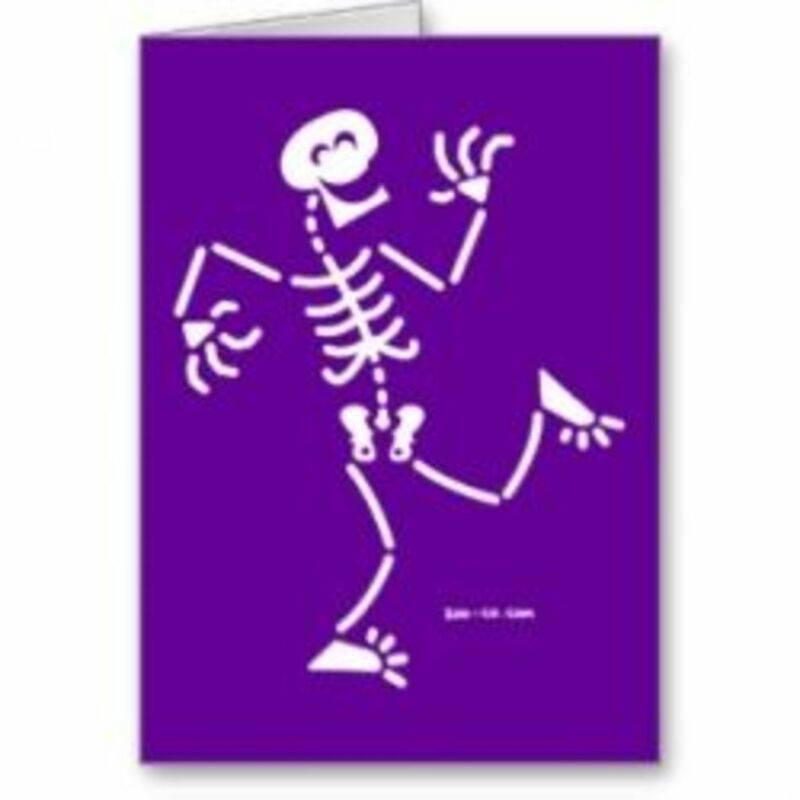 Librarians, teachers and parents love simple crafts for children for Halloween. Here's some ideas for your group and ways to find more. 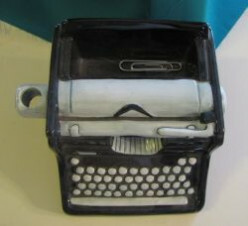 Many of the crafts use recycled or inexpensive items. Change out your fireplace mantel decorations for the autumn. 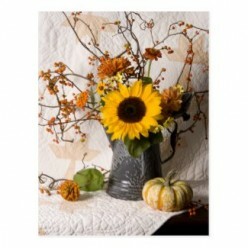 There are wonderful colors of rust and orange and reds that bring the feel of fall into your homes. 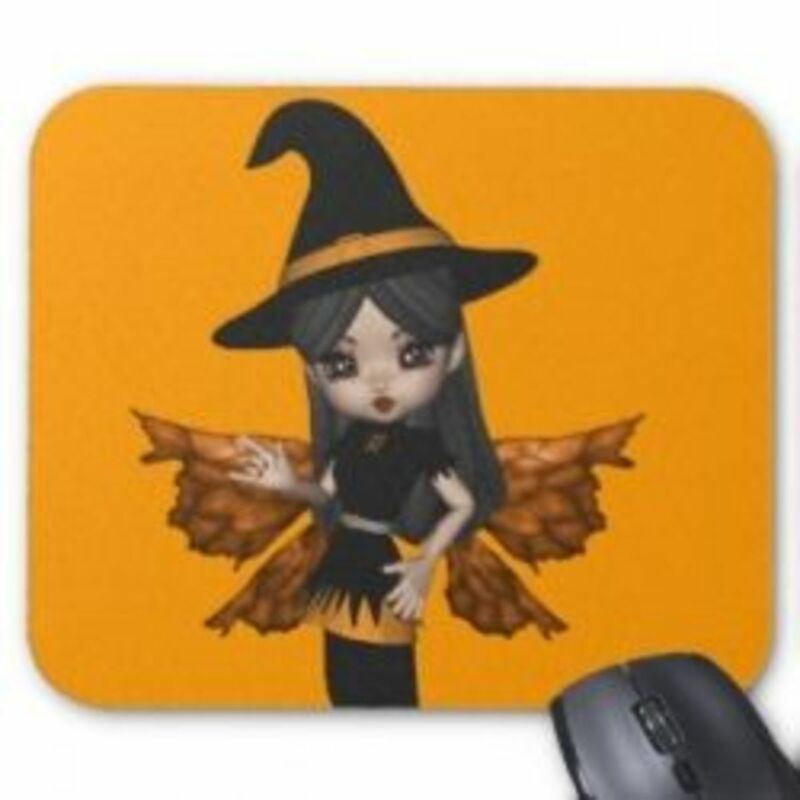 Then shift into Halloween mode. Fun! 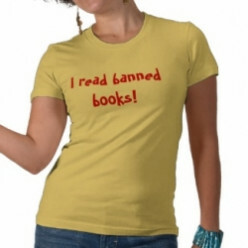 During Banned Books Week, libraries raise awareness of attacks on the Freedom to Read. They get really creative with their displays. Here are examples of eye-opening banned books displays. 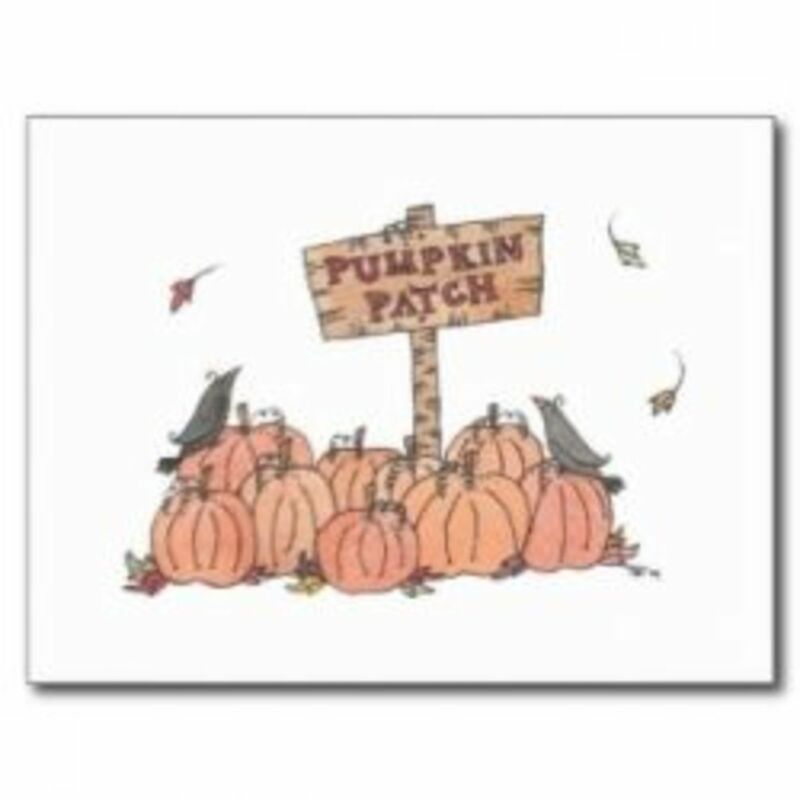 Don't have a ho-hum jack o-lantern. Get wild and crazy with junk that you have around the house or garage to make a JUNK PUMPKIN. These are so much fun. Just let your creativity run free. 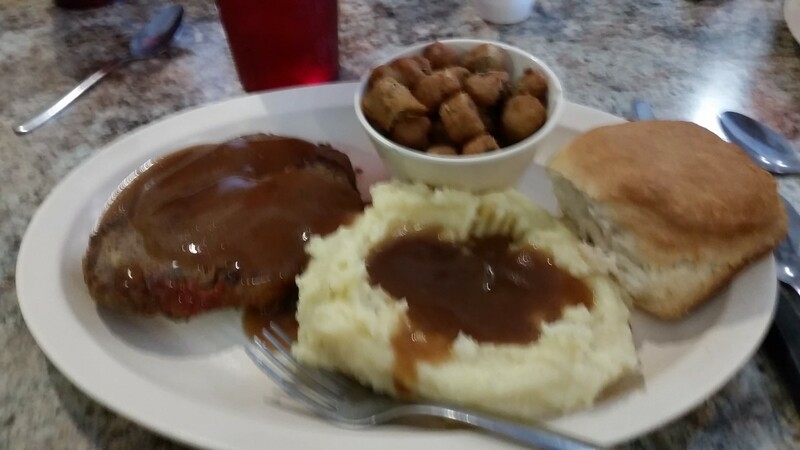 Many of our early memories revolve around comfort foods from our childhood. Here are memory prompts to inspire you to write about foods, your family and your early days. 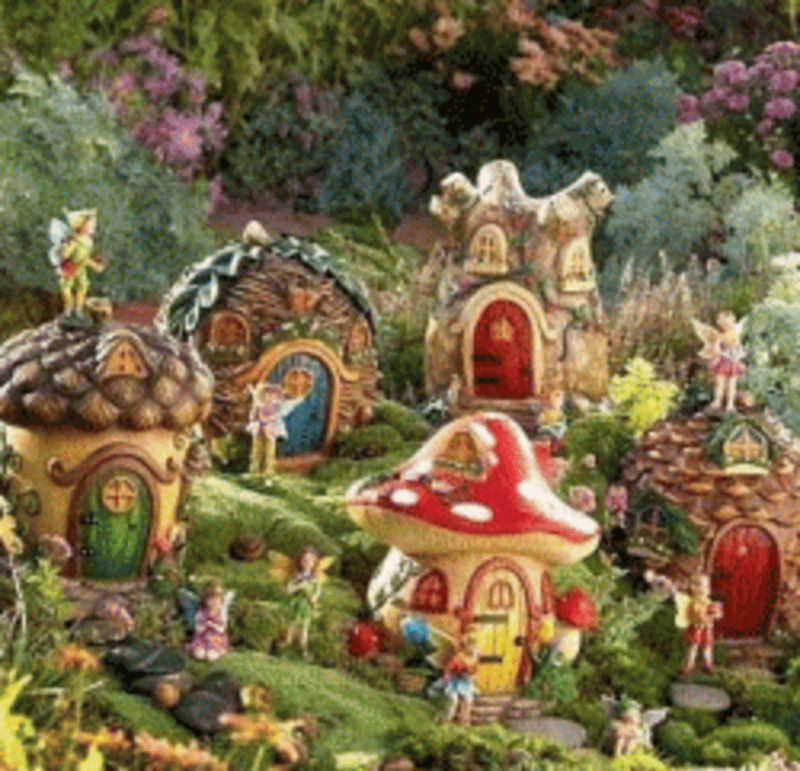 Fairy Gardens are popular with all ages. 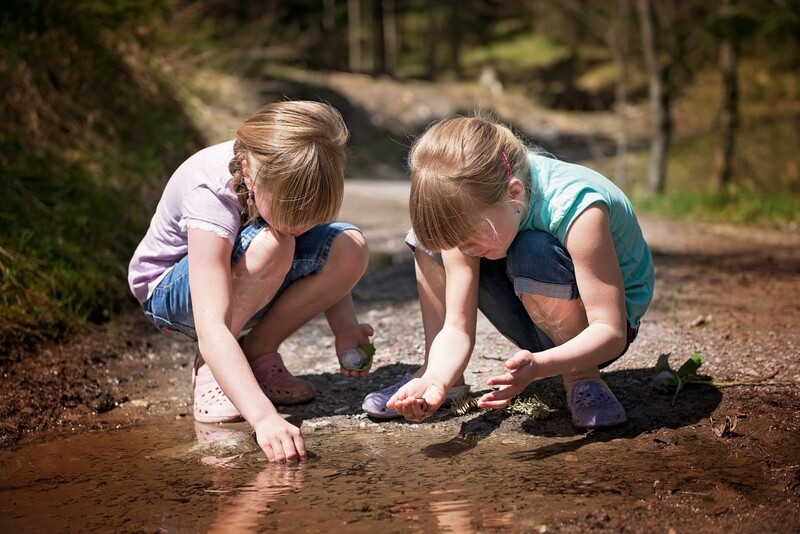 Introduce a child to gardening in a fun way with a tiny garden just right for fairies. They will get hours of entertainment adding to their own mini-garden. Maybe you're a descendant of the Hill or the Perkins family in New Hampshire. Maybe you just enjoy very old cemeteries. 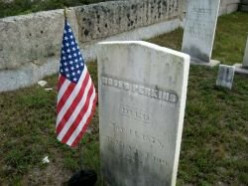 Which ever it is, enjoy the information and photos of gravestones shared here. 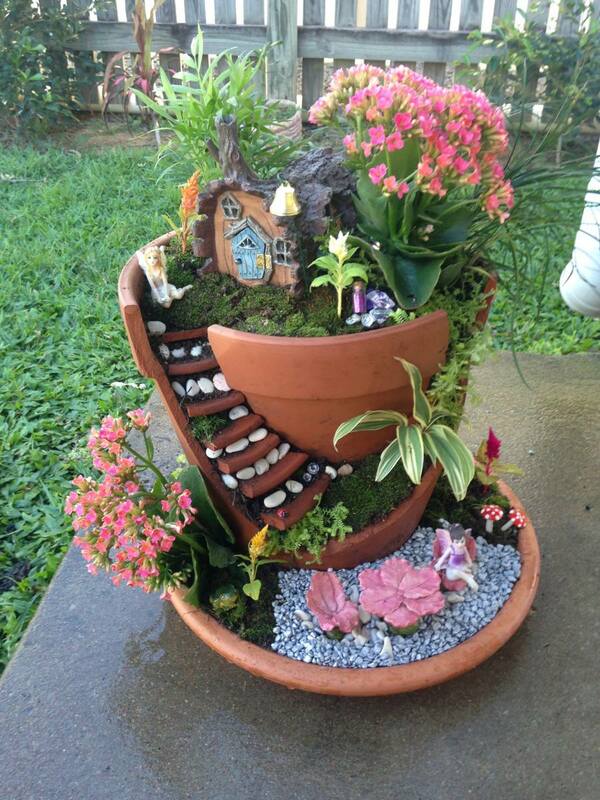 Grown-ups and kids have great fun making fairy gardens. Change your miniature garden scene to fit Halloween with these tips or make a new one. These can go indoors in containers or outside. 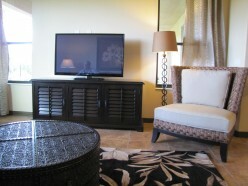 Don't you love the concept of taking an expensive decorator room and re-creating it on the cheap! 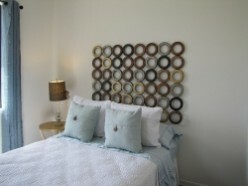 Here is a bedroom makeover done in the style of Sabrina Soto on HGTV. 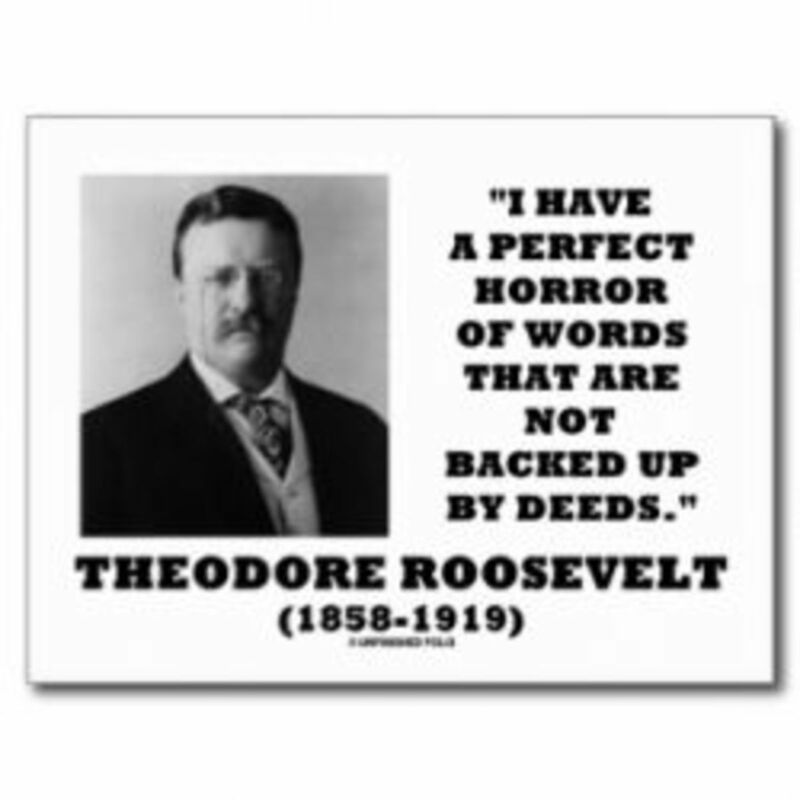 Americans remember Teddy Roosevelt as a great president. There are many ways one can costume yourself to be either the man of the west, the Rough Rider or more formally, as the president. Everyone loves the tiny plantings and accessories in a fairy garden. The latest trend involves building that miniature landscape in a broken pot. Here are examples and tips for this. 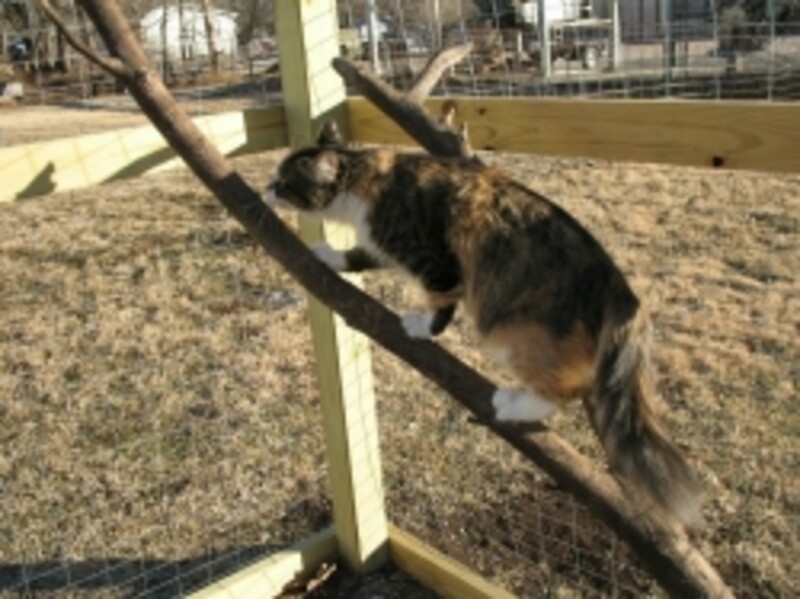 Give your cat a safe place to be outside with a cat enclosure. Here's the step by step for the kitty pen my aunt had constructed. Her cats love it and spend a lot of time playing and relaxing in it. 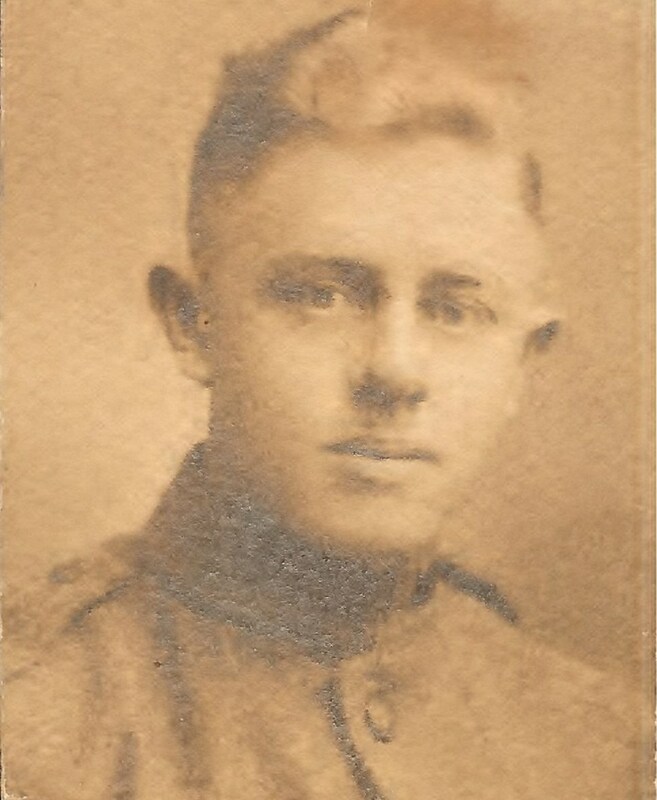 This page is a tribute to Albert Vining, a young man from Tryo, Kansas who served in the trenches in France in World War I. 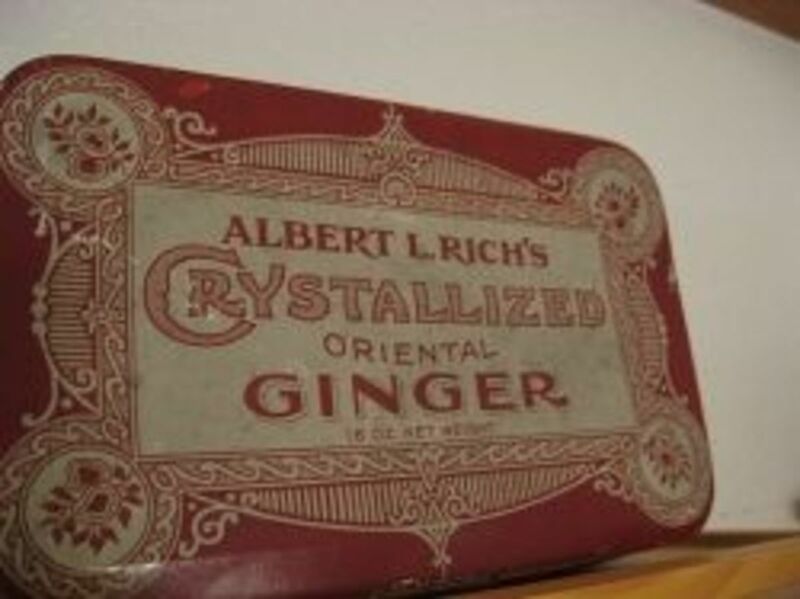 He was my great-uncle. I've become an expert in chipmunk behavior. If you are having troubles with these pesky little fellows, here's my comparison test of two kinds of traps. 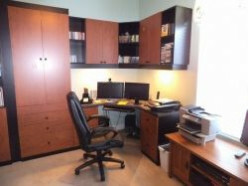 People with a passion for family history need a work space for their hobby. 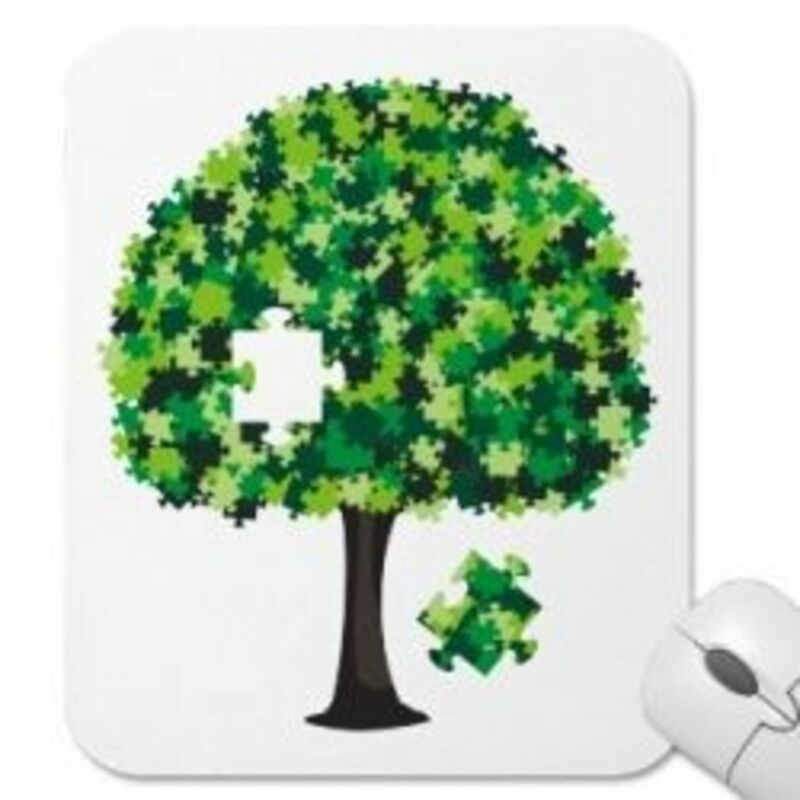 What makes an ideal genealogy work area? Take a look at my room for this. Before the Dollar stores, there were Five and Dime Stores. Take a nostalgic trip down memory lane with me as I revisit Woolworth's and the fun I had there as a child. A dry stone wall is a thing of beauty. You can scale it down to make borders for flower beds. Here are tips and techniques for making these. 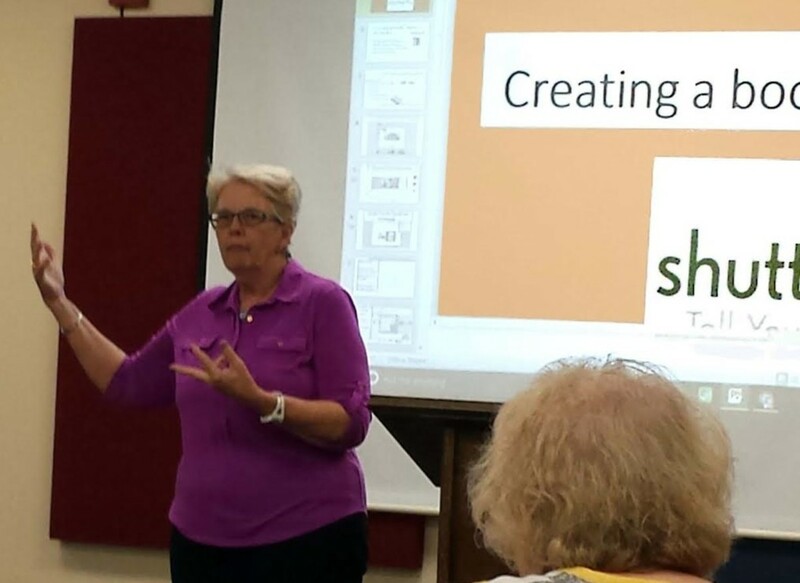 If you aren't using social media to promote your library, you are missing out on some great public relations tools. Facebook is free and easily reaches a large, targeted audience with your message. 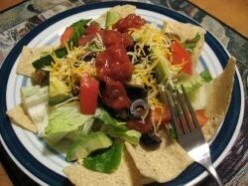 When we want an easy-to-fix meal with lots of flavor, we make taco salad. Here's our recipe with step-by-step instructions. Your family will love it. After traveling in a 5th wheel, a motorhome, a campervan and a travel trailer, here are my tips for what to stock into an RV kitchen. Based on my 30 years of library experience, here are tips for parents, teachers and librarians to deal with assigned summer reading. 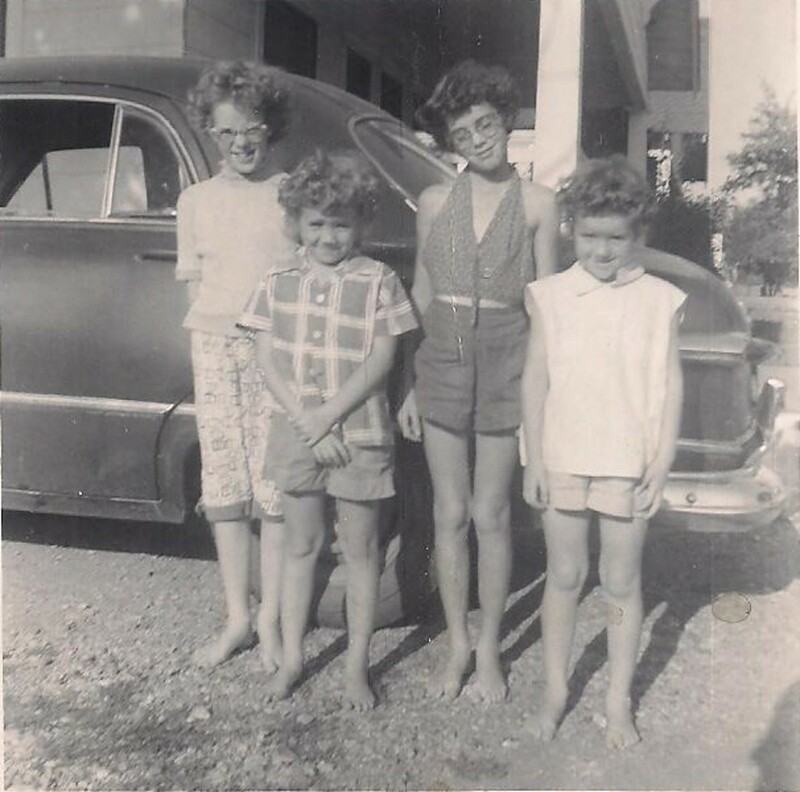 It's time to write about your childhood memories of the 1950s. I share some of mine and give some memory prompts. I hope they'll trigger you to write about this time. 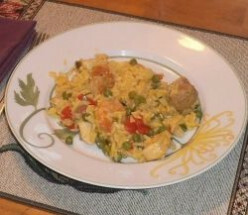 Paella is a marvelous blend of flavors with shrimp, chicken and sausage. This colorful rice dish is super-easy to make and the family will love it. 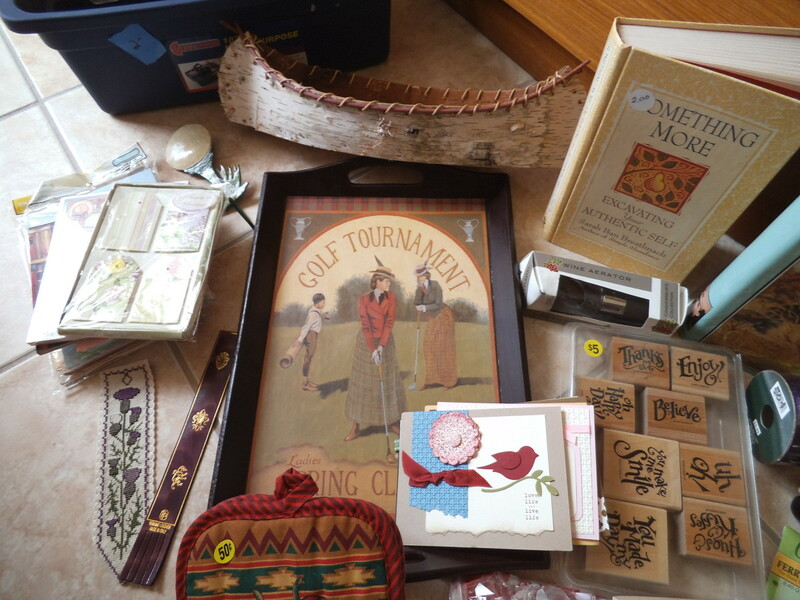 Want to make the most of your visits to yard sales? Check out these tips for finding true bargains. Don't overlook some great finds. Here are my recommendations from years of buying at yard sales. Back pain, neck pain, leg pain... it's no fun having to cope with pain. 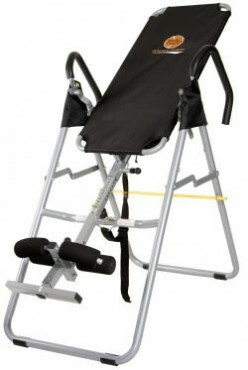 My doctor recommended inversion therapy which is a simple piece of equipment to have in your own home. It really helps. 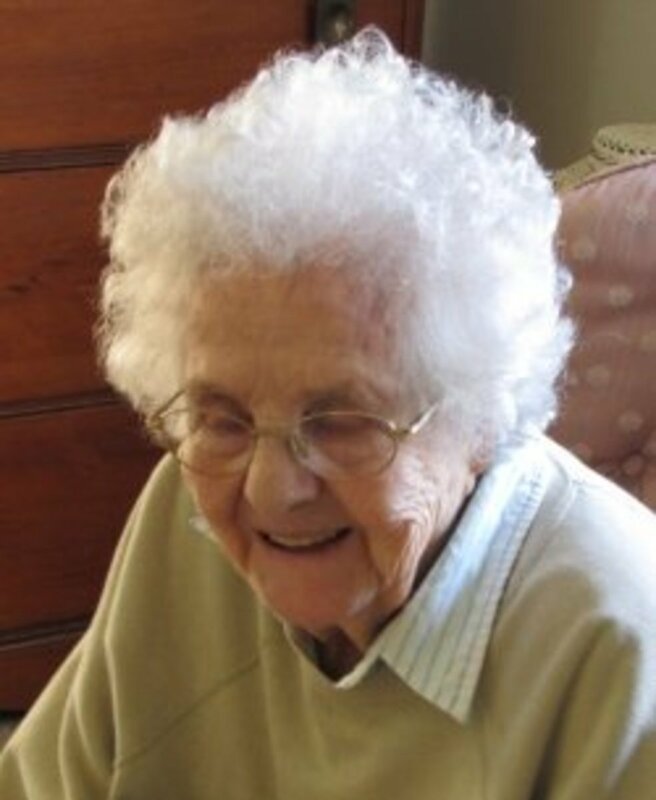 A tribute to Ruth Vining McGhee, my grandmother. She grew up in Oklahoma and Kansas. 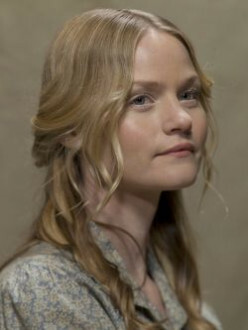 She married a young man just as he went off to WWI. This is their story. Hall China made a number of water pitchers over the decades. The styles and colors make these a popular kitchen collectible. 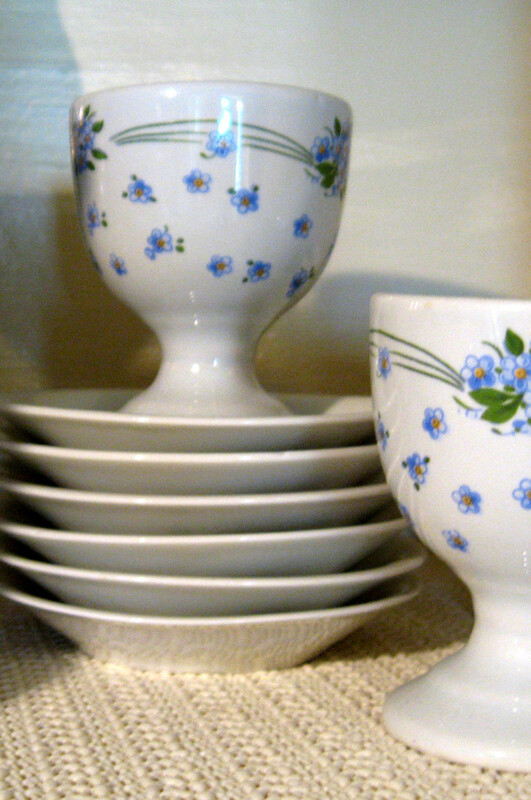 They look great in a retro kitchen or even for everyday use. 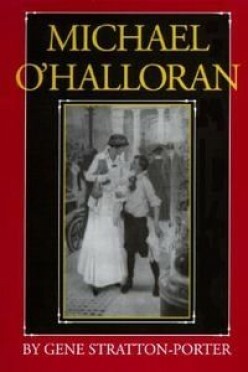 This Gene Stratton-Porter novel from the early 1900s can be read on a number of levels; as a good story, as an account of a poverty-stricken newsboy and as social commentary. Here's more about it. It's fall and time for festive dinners with colorful autumn decorations. 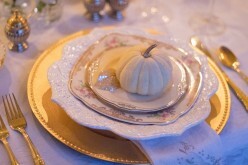 Set a pretty table, then decorate the whole room in the gorgeous colors and textures of fall. 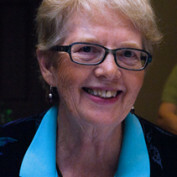 Meet my friend, Kathy Glascott, novelist. Her first book is now available. If you like Nicholas Sparks or Maeve Binchy, then you'll want to read Loving Christy. Here's more about her and her book. Cats loll about all day while you are at work. 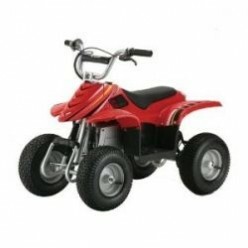 Give them some active toys so they exercise and have fun. 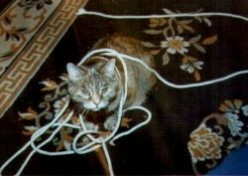 Check out the selection here or even make your own cat toys. Statues and libraries are a great combination. It gives people a chance to enjoy art, provides decoration for the interior or the grounds and can even serve as a brand for the library. Erastus Laban Tower, born shortly before the Civil War, lived in Indiana, Missouri and Kansas, then back to Indiana. Here's what I've found about his life. Take your inspiration from these model homes decorated in Florida style. 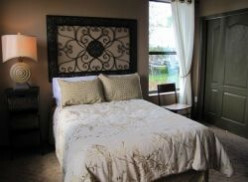 You can transform your own bedroom with a tropical or coastal look into a special retreat. 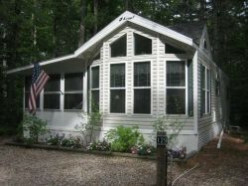 There's a lot to do when closing up a cottage or lake home for the winter. I find checklists ensure that all is secure in your months away. 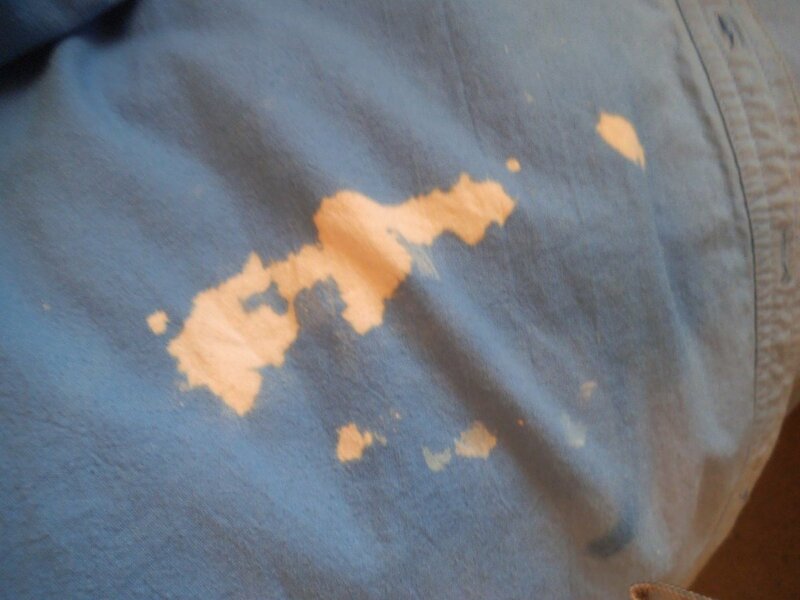 Here are my personal tips for taking care of this. What fun to add some extra creepiness to Halloween by decorating your porch. 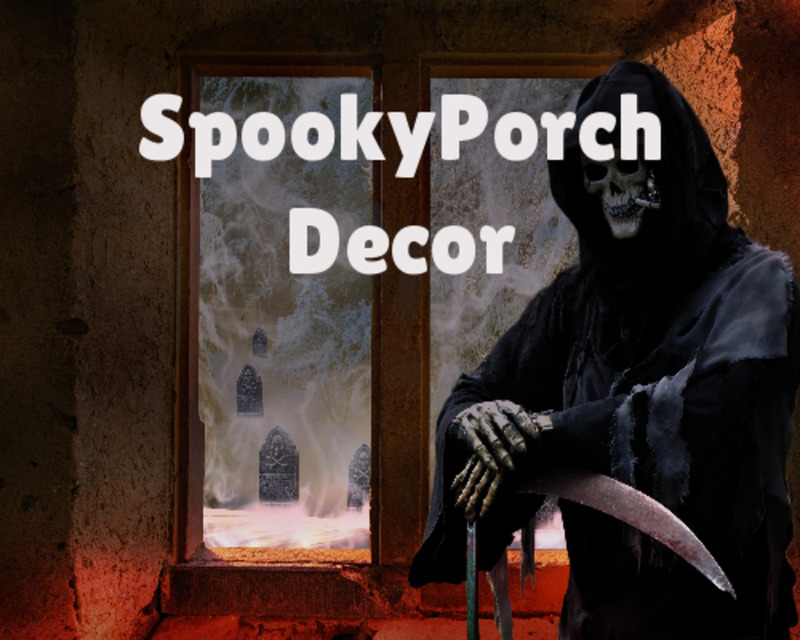 Have the best spooky porch on the block with the tips provided here. All the kids will dare each other to come see it. 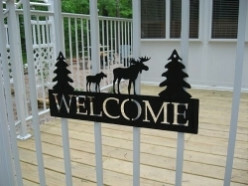 Having a cottage in the country or at the shore means you'll want to invite friends and family to enjoy your retreat. Here are tips for preparing for their visit and making it go smoothly. 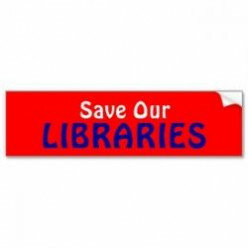 Libraries are too often underfunded, so must depend on volunteers and fundraisers to supplement their budgets. 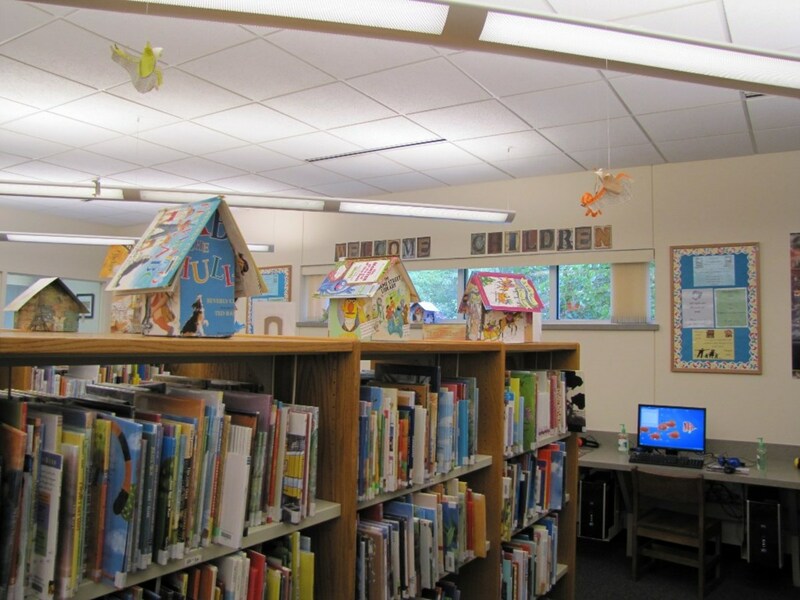 Here are ideas to help your local library. 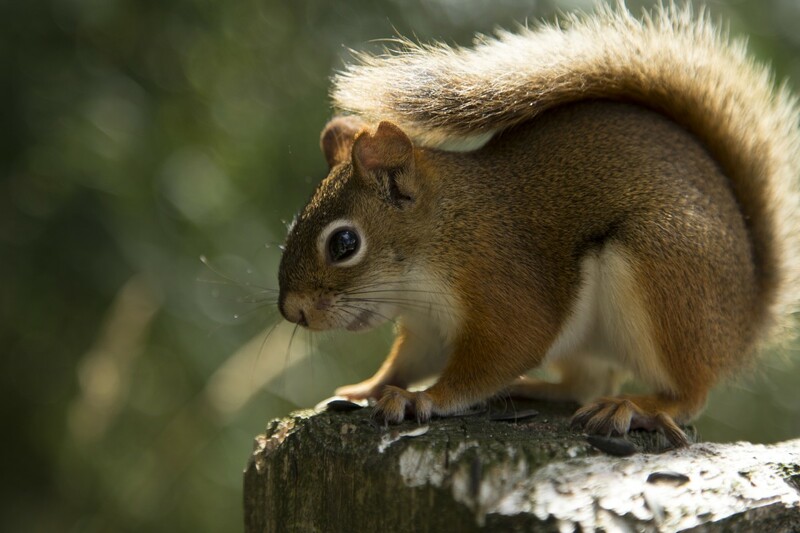 The American red squirrels cause an amazing amount of damage if they get inside a house or a vehicle. Here's the solution, actually a number of solutions for you to apply to your problem squirrels. 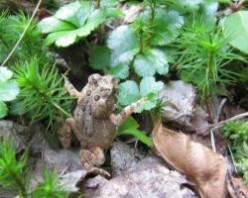 Test your knowledge of frogs and toads that live in New Hampshire with the photos on this page. It's fun and you'll learn their names and behaviors. Anytime you have lobster, it's a party. Here are my tips for planning, cooking, serving and cleaning up after a lobster fest. Meet a beautiful octogenarian, Gail Lee Martin. I may be partial as she is my mother, but I think she serves to remind us that being 70 or 80 or 90 does not take away the inner beauty and spirit. 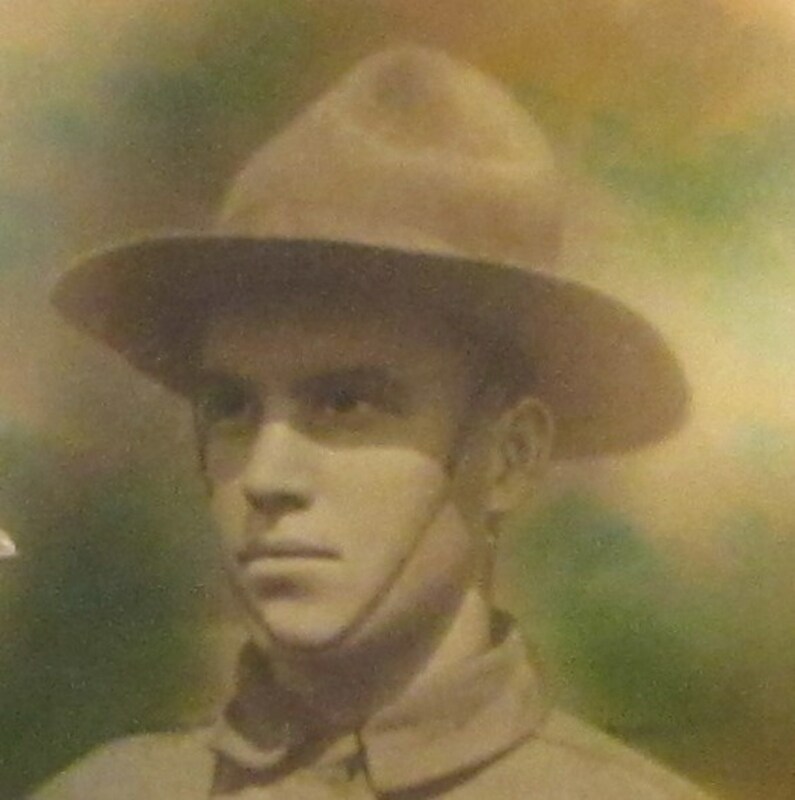 My grandfather served in France in the 1st world war. 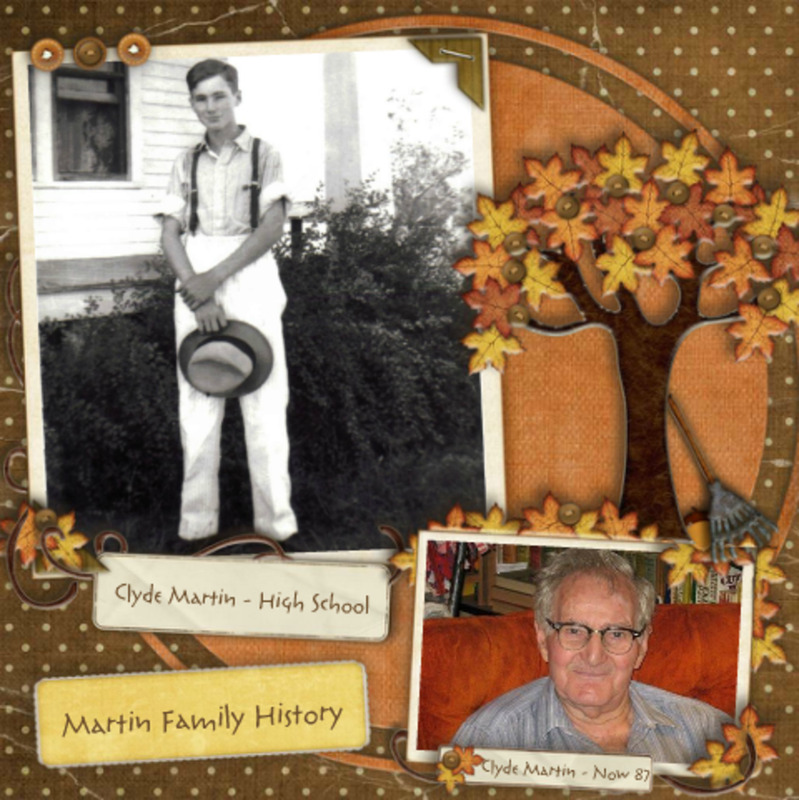 Here's his experience and the family memorabilia from this momentous time in his life. I'm sure it parallels that of other young men of the time. Painful wrists, elbows, shoulder, neck, back? Your computer may be to blame. Burning, itching eyes? Again, it may be your computer. 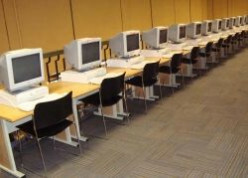 Change that situation with the right equipment and good ergonomics. Find the glitz of a belly dancing costume. Dancing is marvelous exercise and the right outfit makes it even more fun. Great for a fancy dress event or for a special show just for your sweetie. 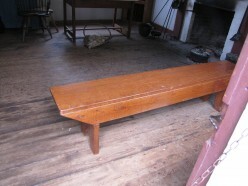 Everyone loves a simple bench with the memories of grandparents, farmhouse or pioneer times. They look great on a porch, in the house or garden. You can DIY or buy one for instant charm. Are You a Real McCoy? 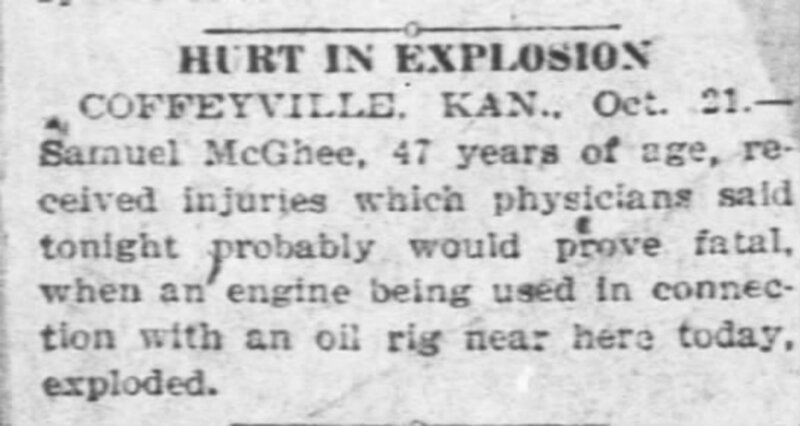 If your last name is McCoy, you might wonder if you're related to the famous McCoy's of the Hatfield-McCoy feud. 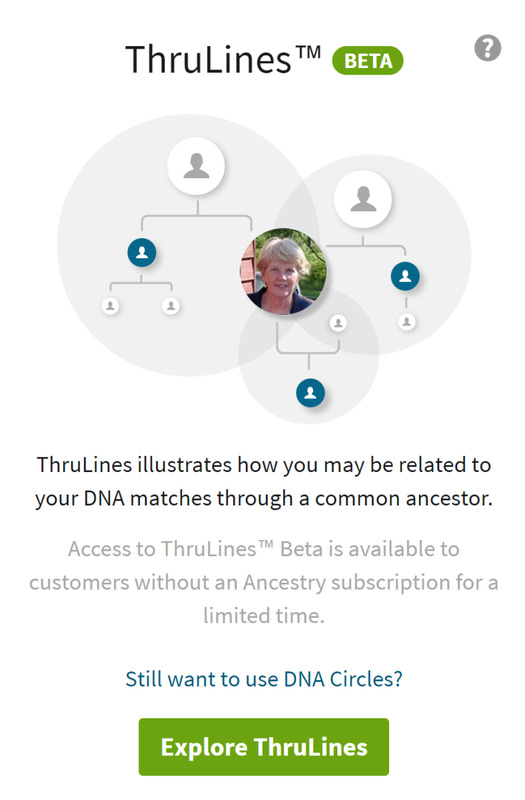 Here are some tips for checking out your family tree to see if you can connect. 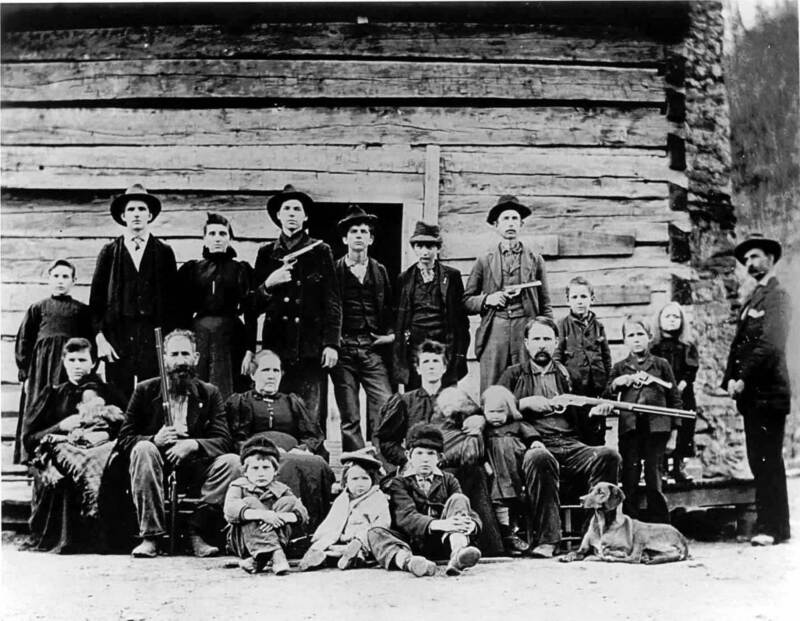 The names Hatfield and McCoy are linked forever because of the infamous feud. Would you like to see where the events took place? Plan a tour with the information provided here. 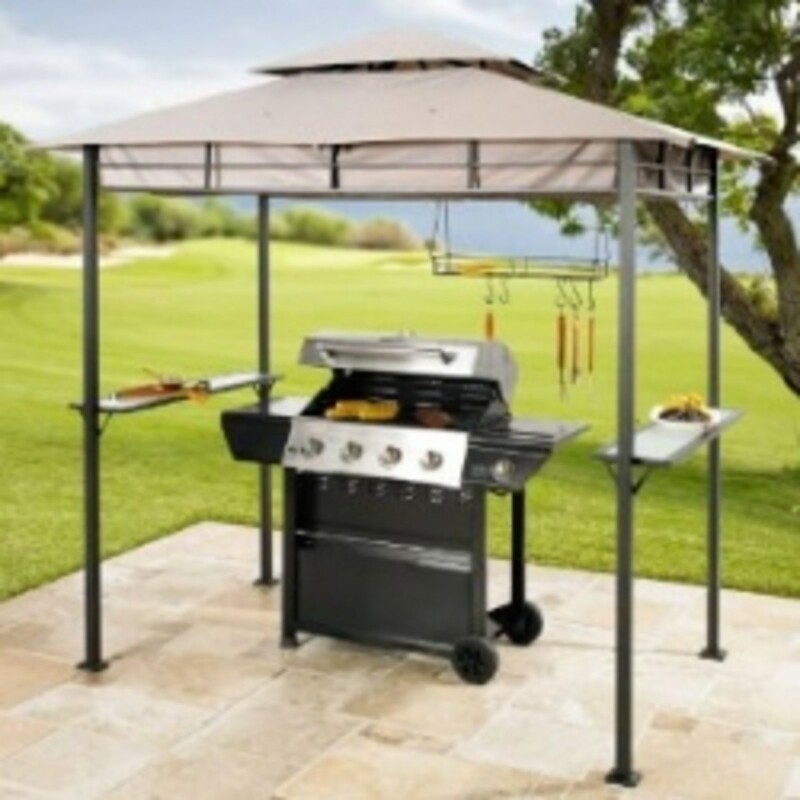 Sun too hot or rain starting up when you want to grill? No problem. We got a grill gazebo and really love it. No more postponed BBQs or having to cook inside. It really extended our grilling season. 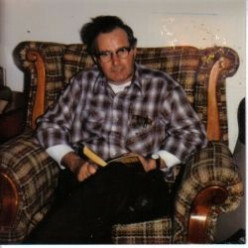 Clyde Owen Martin (1924 - 2012) - My dad was a hard-working man who worked many years in the Kansas oil fields. I want to share with you this collection of photos and stories to preserve his memory. 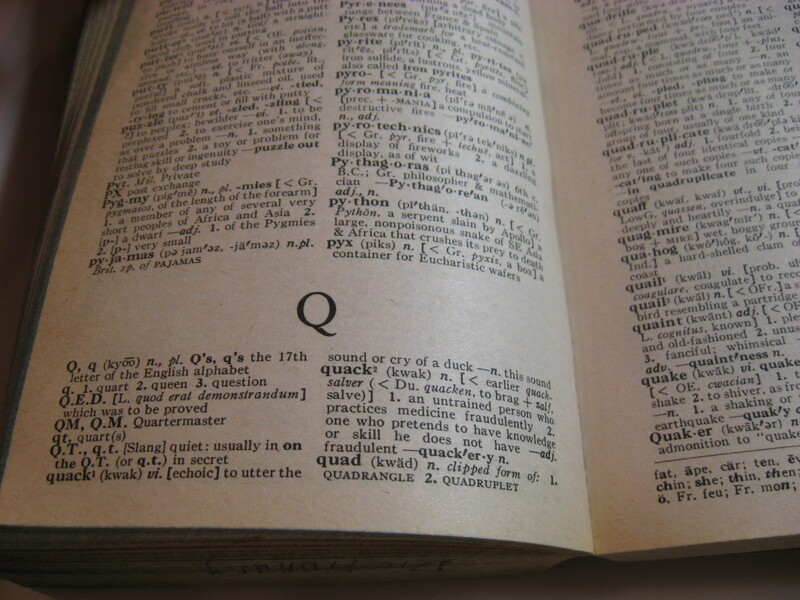 Used book sales are popular fundraisers for libraries. 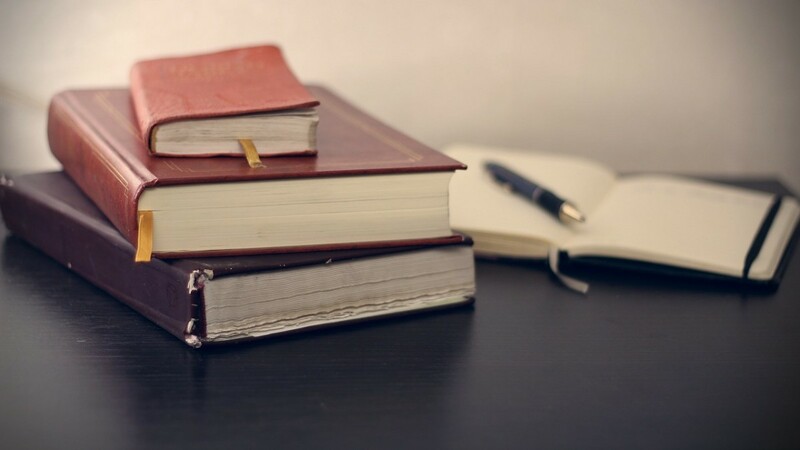 Here's how to plan the best book sale ever and raise even more money for your library. Everyone loves strawberries, so put together this easy jam recipe. Keep it in your refrigerator for immediate use or in the freezer for later. 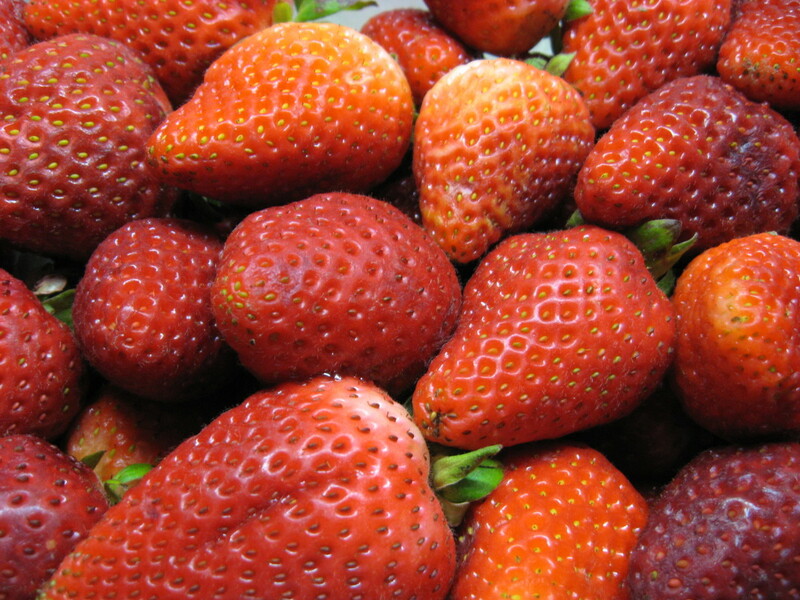 It's a great way to use all those strawberries in season. 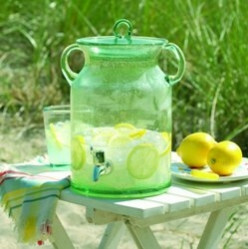 Vintage jars find new life storing food in the kitchen and dozens of other other uses. Many collect them just for the beauty of the glass and their shapes. Reproductions make them affordable as well. 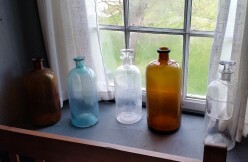 Old bottles look great in decorating and even for daily use for storage, but many collect them just to display or to bring back memories of the good old days. Here are tips for collecting these. 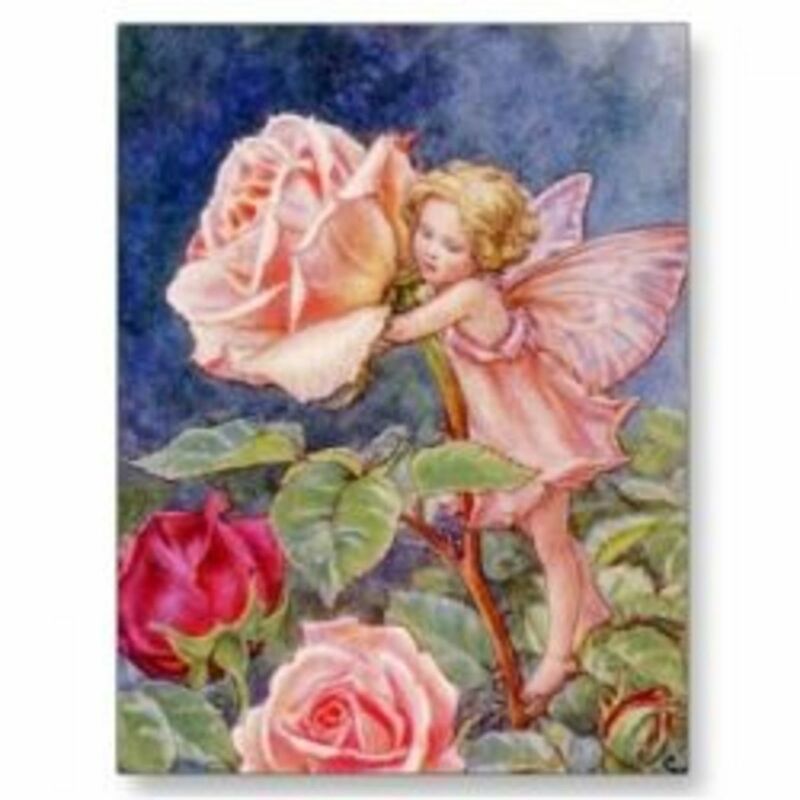 Puzzled about what flowers will attract fairies to your garden. I'm sharing here some of their favorites, so start planting and getting the garden ready for little visitors. Herbs are a natural for the miniature landscape. 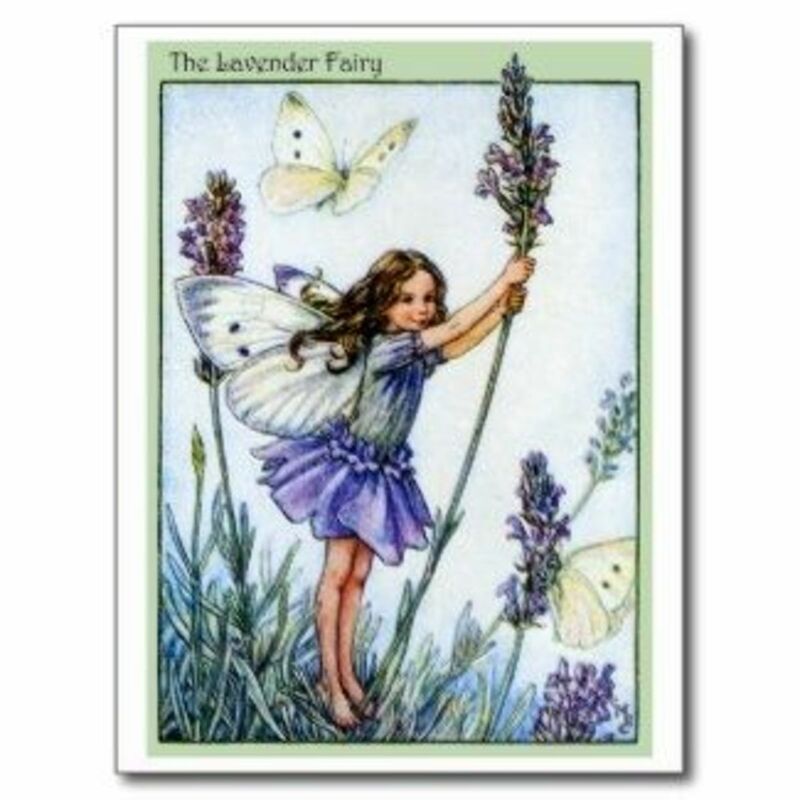 Entice fairies and elves to visit and live in your garden by planting the right herbs to appeal to them. 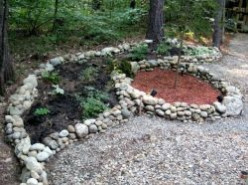 Groundcovers give a great look in a fairy garden. 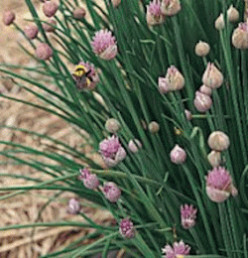 Find out what kinds work best and how to plant and care for them. 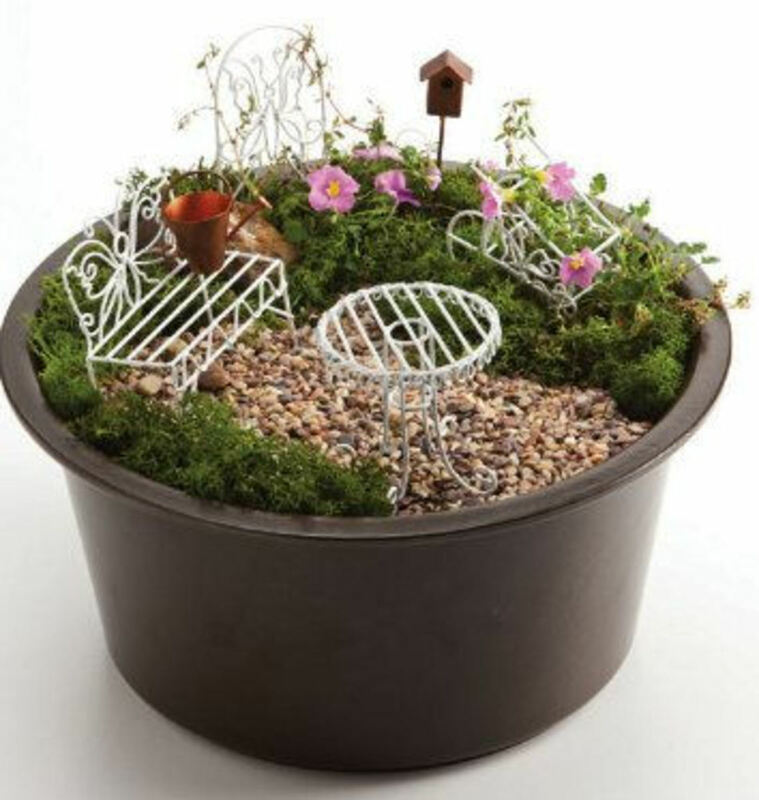 One of the hottest gardening trends now is miniature gardens known as fairy gardens. 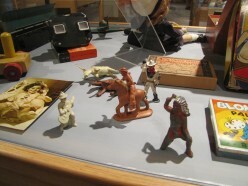 Fun for adults and for children, these use small plants, mosses and tiny scenes created with houses, paths and more. For 10 years, I've been developing my shade garden in New Hampshire. Here are my tips for what grows well in shade and lots of pretty flower photos to help you decide what you want to plant. 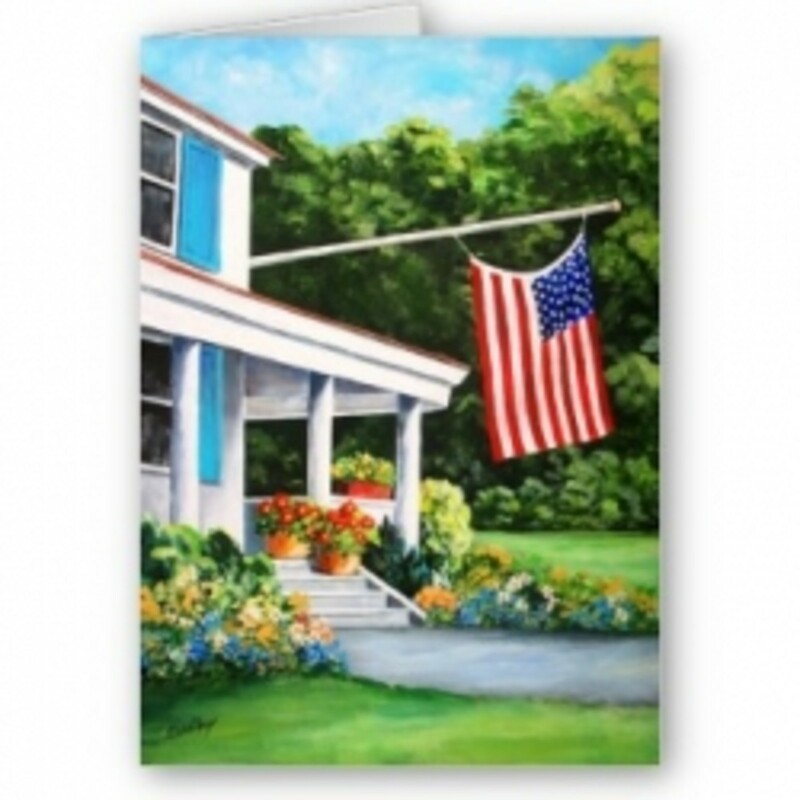 Inspire your neighbors with a classy display of red, white and blue pride for the 4th of July or other patriotic holidays. It's time to celebrate these all-American holidays. What fun, to create a tiny garden complete with garden furniture fit for a fairy. Now where can you find that special sized furniture? You can make it or if you prefer, buy it. 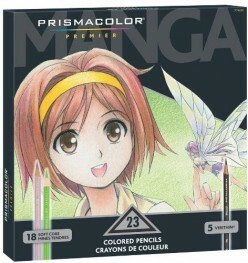 These are just right. 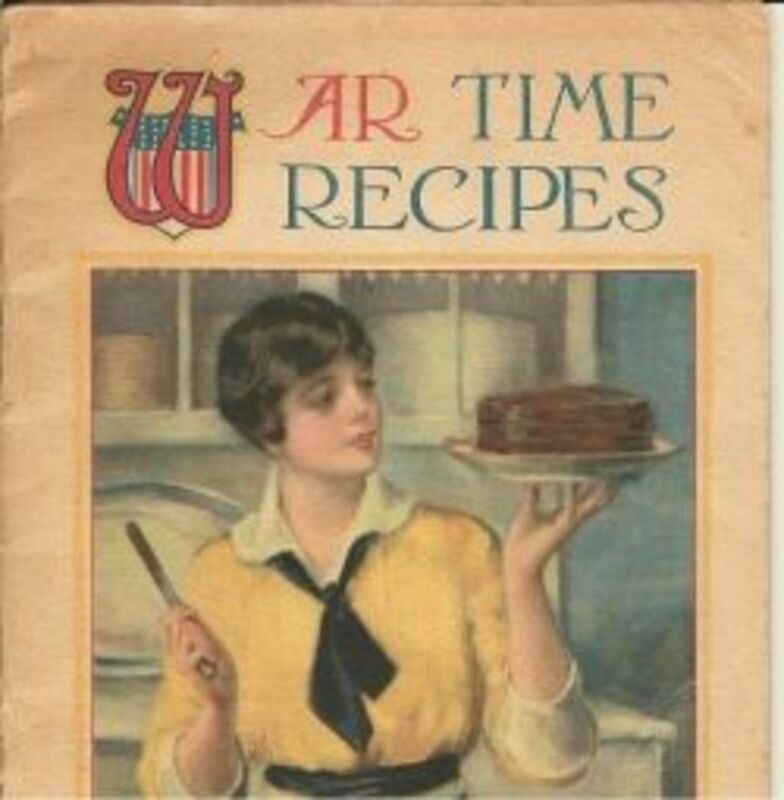 We can learn a lot about gluten free baking from the housewives of World War I. The recipes I'm sharing here are from a booklet encouraging alternatives to flour in that era to help the war effort. I had the pleasure of meeting Robert Newton Peck and asking him about his writing. 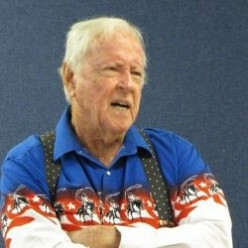 This noted author of children's books shared his writing advice with our local writing group. 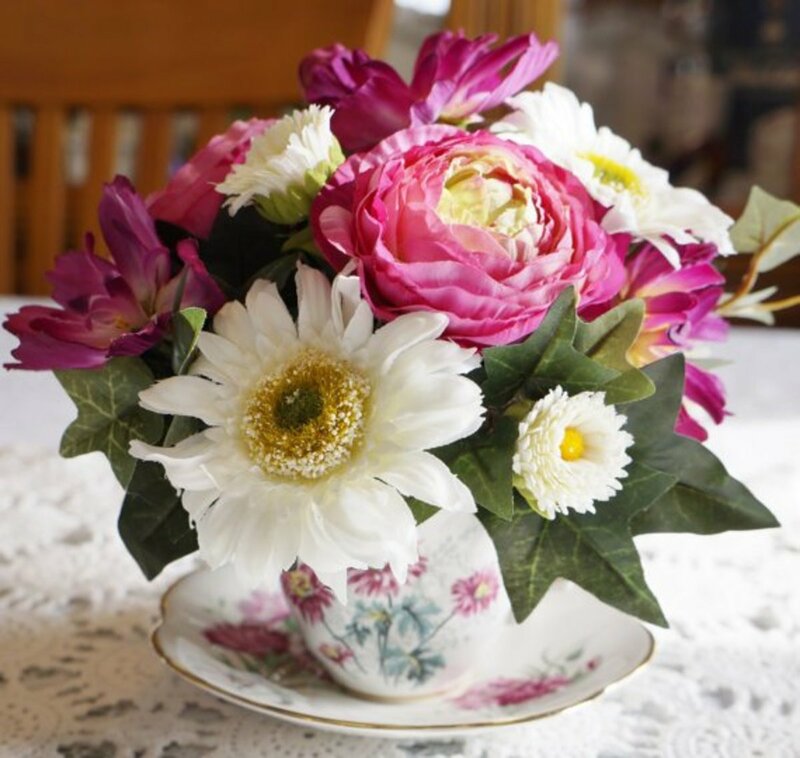 A tiny flower arrangement in a teacup or a mug brightens your day. 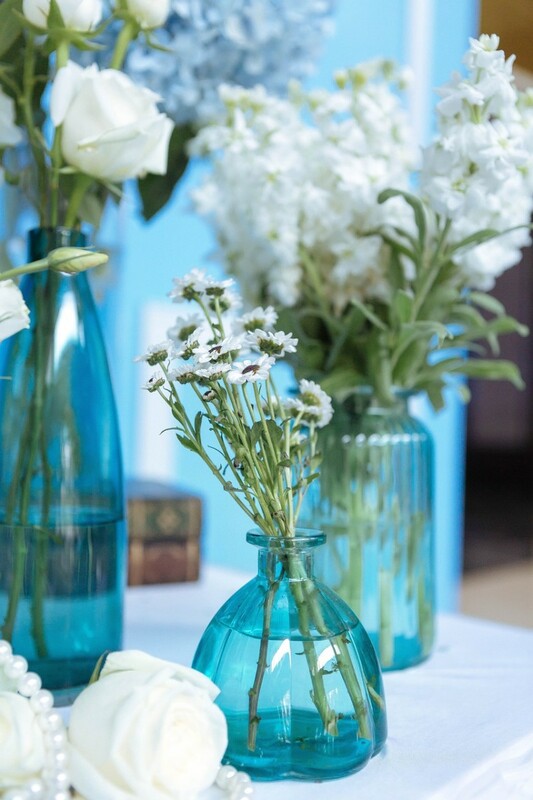 Check out these examples and the tips for creating miniature arrangements. 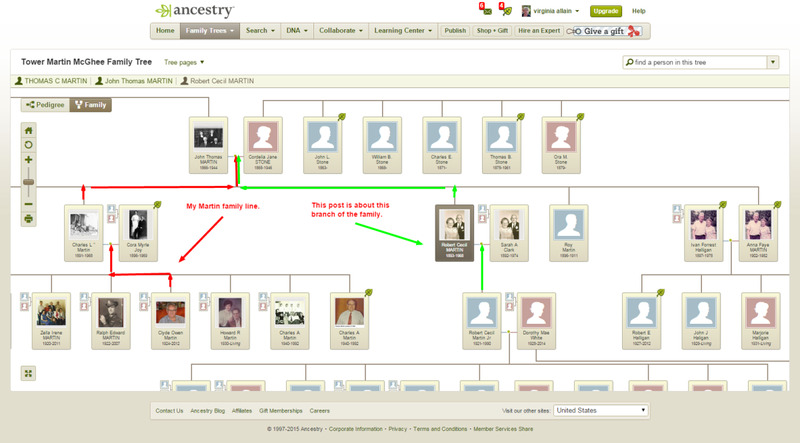 I'm an avid genealogist and delight in tracing my family tree back as far as I can. Many of the searches lead me back to England. 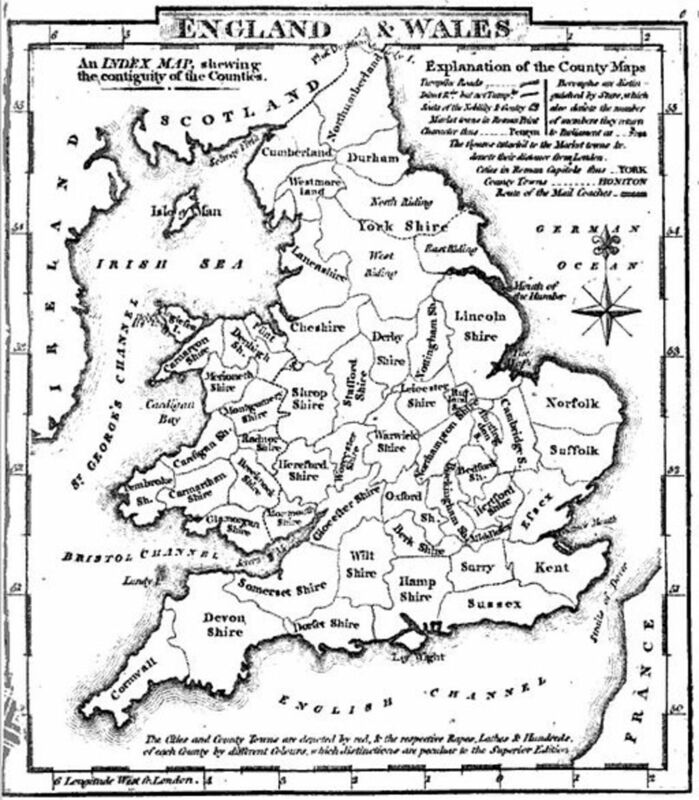 I've charted out the areas in England where my ancestors came from. 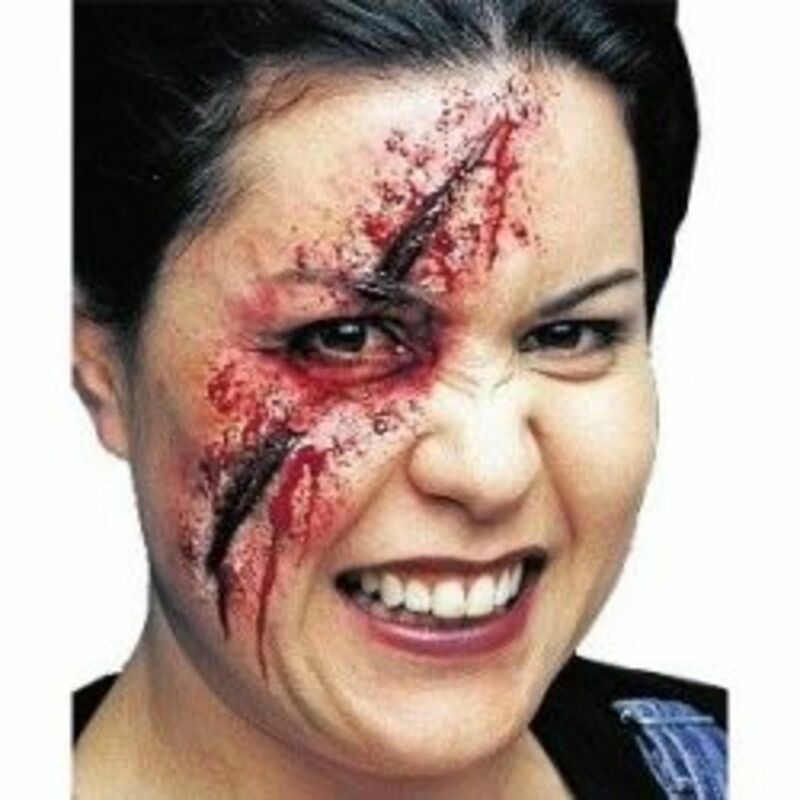 Zombie, murder victim or whatever your costume theme is, you need a realistic and very gory wound to go with it. There are super-realistic make-up kits and applications to get the effect you want. 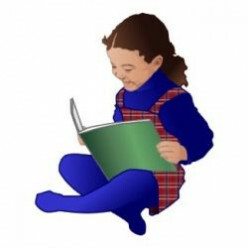 Having a special place just for reading helps build a love for books that is so important to a child's success. I've found some unique furnishings where any child will love to curl up with a book.